There is a joy in being able to create something yourself. A whole new realm of possibility is unlocked when you aren’t restricted to buying something someone else has made for you but instead you can make exactly the thing you need or want. But if you’ve never tried making something for yourself where can you go to get the necessary skills? Evening classes at the local college are of course an option but it’s not always easy to fit them in or perhaps they don’t teach the exact thing you are wanting to learn. 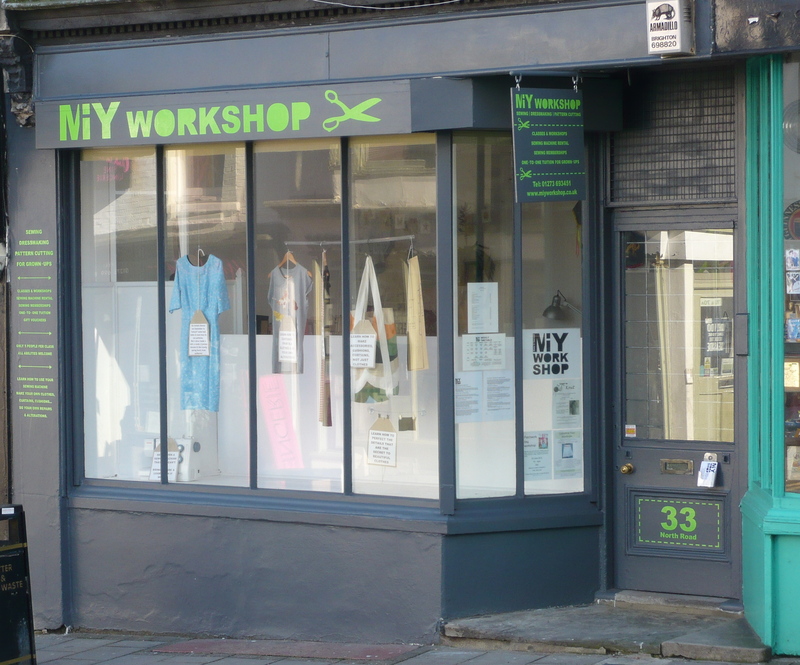 Brighton based Wendy Ward opened MIY Workshop in 2012 to help people create garments for themselves. Offering a range of courses suitable for a variety of abilities as well as the chance to learn more about the history of fashion. A quick look at her blog shows the happy smiling faces of customers proudly wearing their creations. I asked Wendy to answer a few questions to give more insight into what she does and why. What’s the best thing about running MIY Workshop? Being able to spend my time doing what I love! I’m in control of my time and I decide what to do and when and how. I love the wide variety of people that I get to meet and it’s really satisfying when someone new to sewing makes their first garment and is pleased with the results. Students are often surprised at what they can achieve, that’s very satisfying for me as a teacher. Does being based Brighton make a difference to your business? 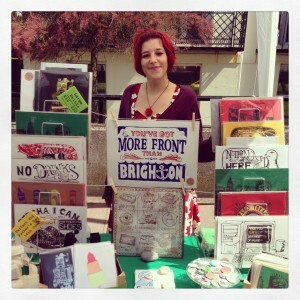 Brighton is a very creative and alternative place which means it’s a great place to have a creative business like mine. I’m located in the North Laine area in the heart of the city which is buzzing with independent shops and creative businesses, it’s got a nice community. I’m also not far from the train station which means I attract students from outside of Brighton too. It’s also good to be close to London; I design and sell my own sewing patterns (www.miycollection.co.uk) and have started to do some of the big sewing shows like the Knitting & Stitching show (where I’ll be in October! ), so it helps to be close to big events. What would you say to someone thinking about taking up sewing? Practice, practice, practice is the first piece of advice that I give to all my students. Sewing is just like any other practical skill and there’s no point in just learning loads and loads of new techniques if you never actually put them into practice. Just sew as much as you can, be prepared to make mistakes and learn from them and ask for help when you need it – either from a book, a video tutorial online or a sewing class. I often say to students who get a little frustrated at the start – look you wouldn’t go to one piano lesson and then expect to be able to play in a concert would you?! Same applies to sewing – don’t start with a silk evening dress, start with simple shapes and easy fabrics, but most of all – make something you WANT to make or that you NEED, the whole point is to love the process of sewing which means being motivated by what you’re sewing, otherwise, what’s the point? You might as well go out and buy a ready-made product. I have a weakness for print. 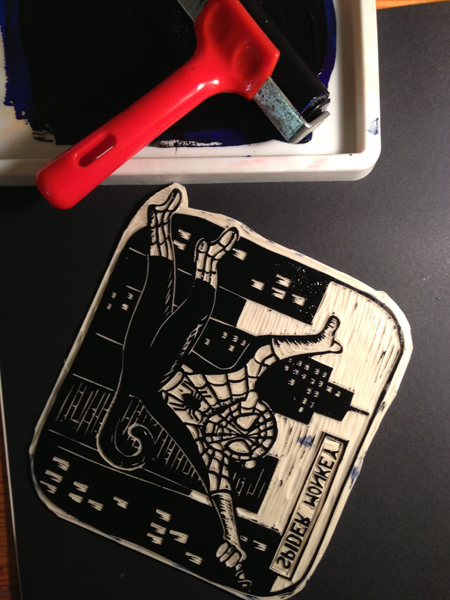 Whether it’s a linocut, a screen print or letterpress; there’s a good chance that it will make me smile. 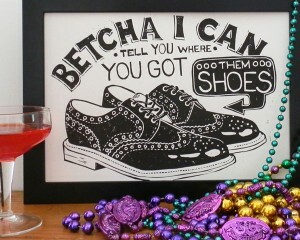 Couple beautiful print work with a dose of wit and I’m yours for the taking! Recently I came across Vicky of Woah there pickle – a veritable sweetshop of printed loveliness and wit. 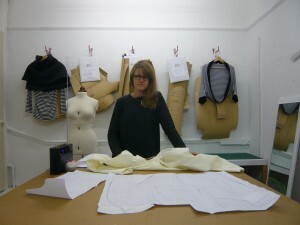 Within hours I got in touch with Vicky and asked her to share more about her work. Grab yourself a cuppa and enjoy…. 2. Your work seems full of humour, warmth and colour – are these attributes that you consciously include in your work. Definitely, humour is the most important. I like printing things that you wouldn’t necessarily think of as subject of a print. Silly things, nostalgic things and more so now I’ve been using more typography, things I’ve heard. I really like incorporating little things I’ve learnt while travelling so that when someone else recognises that thing as specifically New Orleans or specifically Tel Aviv its something special. I’ve also always been inspired by people who use really bold colour. My absolute favourite artist is Keith Haring and one of the reasons for that is he never shied away from really just going with it with colour but always kept it simple. It adds up to an easily recognisable but exciting style of work which I really try to apply to in my linocuts too. 3. I love the variety of your subjects…do you keep sketch books of ideas or run home as soon as inspiration strikes? I’ve never been good at keeping sketch books on me so I have a big long list on my phone which isn’t very art of me I know! You never know when you’ll see something or someone will say something in a different way and you think ‘Right, that’s going on the list!’. 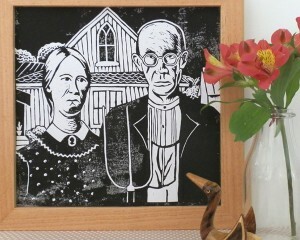 Its got pretty long now so I don’t think I’m ever going to run out of things to linocut! 4.Lino printing involves being skilled in a lot of processes. 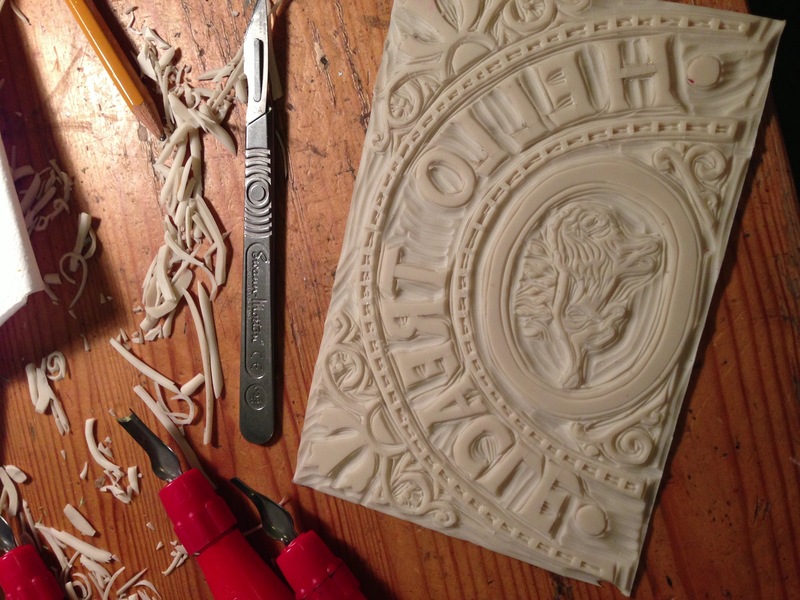 Do you get more enjoyment from carving the design or printing it? That’s one of the things I really love about linocutting. The carving and the printing are two really different processes so if I’m flagging a bit doing one then I can switch to the other. The carving can be really relaxing when you’re not stabbing yourself with the tool and once you have a design is very methodical. But there’s something very magic printing a block for the first time because you never really know how its going to come out, especially with a few colours. 5. America seems to have a big place in your heart, tell us more..
America is really a fascinating place. It’s so strange that its one country when sometimes the different parts of Europe feel like they have more in common with each other than the different states of America in landscape, climate, culture or people. And it has the benefit of me being able to speak the language, well, kind of! 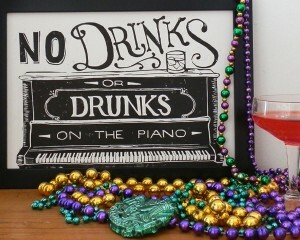 I’ve been around a good chunk of it and my second home is definitely New Orleans. You get such a sense of important and sometimes weird history there with strange and exciting traditions and such a unique culture. The food, music and festivals are all incredible and it all comes wrapped up in that Southern hospitality you don’t find in all states that’s for sure! The first time I went I was living and working in a hostel over Mardi Gras season so I’ve made some incredible friends there and they have very courteously spread themselves all over the country and the world so I have even more places to go and visit a friendly face now! 6. 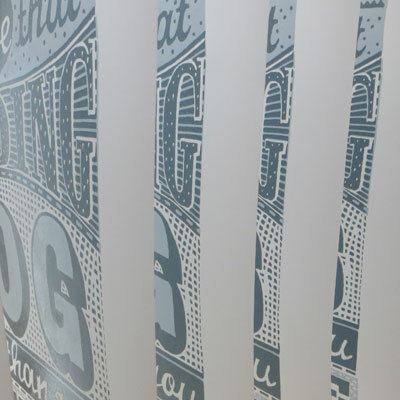 Can you tell us more about your internship with Hatch Show Print? I could talk all day about that place! I’d been told by a friend that as I was passing through Nashville I would have to stop in there and it really is an Aladdin’s Cave for anyone interested in print. I fell in love with it and stored away the idea of applying for their internship programme. 4 years later I thought I might as well give it a go, applied and was over them moon when I got it. For those who don’t know, Hatch Show Print is a letterpress print shop that has been producing posters since 1879. That’s the same year the lightbulb was invented! It eventually became famous for printing posters for some of the most iconic popular music acts there have been, including Johnny Cash, Elvis, Hank Williams and anyone who was anyone in the country music scene. Since the mid 80s its been run by the amazing Jim Sherraden who has kept the place thriving in a time where people automatically jump on a computer to lay a poster design out. He now says that this is the best thing that could have happened to the shop because it sets aside what Hatch and other letterpress printers do from computer made design and offers a more human and tactile alternative which people cant get enough of. They have continued to make posters for incredible acts right through from Led Zeppelin to current bands like Mumford and Sons today. We had people phoning before the poster was even designed to buy copies of that one! 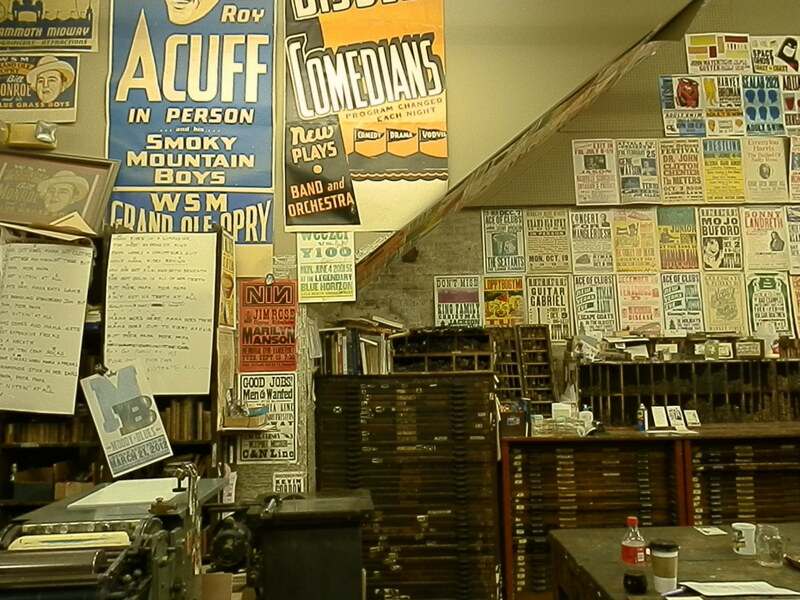 During my time there I learnt, from scratch, the running of a letterpress poster shop. There, the designer is also the printer so I had to first get to grips with the humongous archive of wood and metal letter blocks, hand carved lino blocks and metal photo plates and where it was all kept which was a mammoth task in itself! We then had to learn the traditional skills of typesetting, making colour separations, locking in the block on the press, making sure everything was printing and bumping up things that don’t, printing with the correct inconsistency of ink. Pretty soon we were working on live jobs and I made posters for a wide range of clients like The Country Music Hall of Fame, a local school, Counting Crows and the comedian Kevin James. My favourite thing about working in letterpress is how you have to learn design within the limitations of the process. It really forces you to make creative design decisions like if you don’t have enough ‘e’s in the typeface you’re using do you find another typeface altogether? Switch a few letters to a new one and make a mix? Find a good looking 3 and put it upside down? It all adds up to such a lovely quirky character you just don’t get on a computer. 7. You are obviously a big fan of craft fairs – what do you love most about them? Craft fairs are great for two main reasons in my eyes. 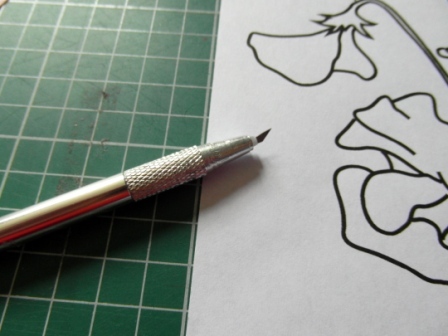 Firstly, making crafts or prints can be such a solitary job. Craft fairs are one of the big opportunities to meet up with people who are doing some of the same things as you so are effectively the colleagues you get to have a gossip with, see what else is going on with exhibitions or other fairs and talk about the things you’re doing and love. Luckily now I work in a studio so its not quite so lonesome but its lovely to be a part of that tight knit ‘scene’! The second biggest pro to doing fairs is that there are not a lot of other opportunities to present your work to people face to face in a laid back atmosphere and get to chat to them about it. If you sell work on line of in galleries you don’t get a feel for the kind of person buying your stuff. With them in front of you, having a good old nose, they tell you which bits they like or which bits remind them of a thing their Grandma used to have or what else would be funny. That kind of feedback is not only invaluable as market research but is just really lovely to hear face to face! 8. What’s it like to be surrounded by such a vibrant community of designer makers in Brighton and how does Woah There Pickle get involved? 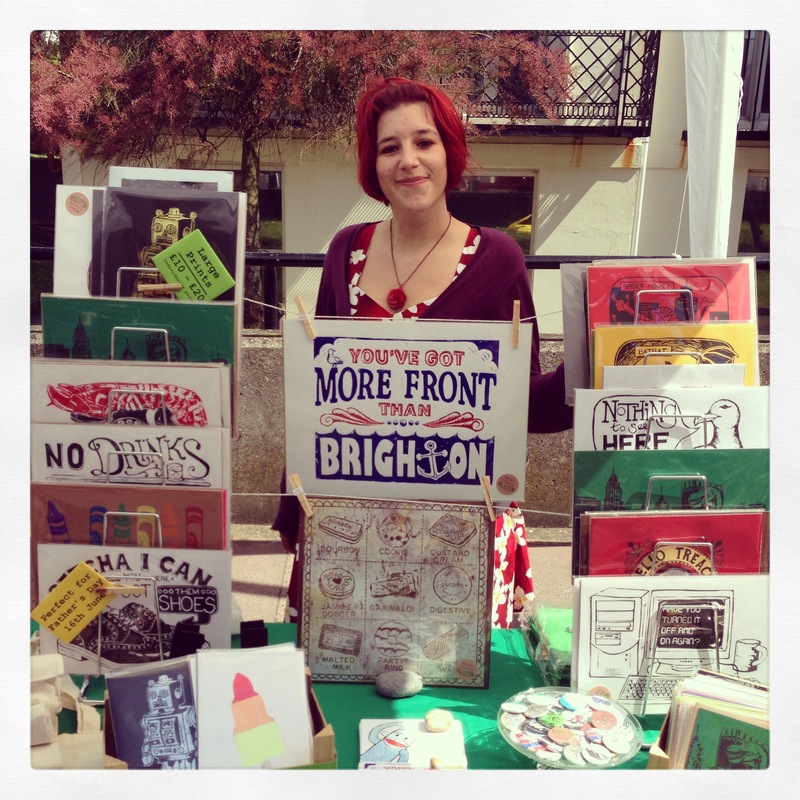 If you’re going to have a go at making a living from anything creative or crafty I think Brighton is one of the best places in the world to make that happen. I think it must be the pull of the beautiful sea! There’s so much going on down here and quickly you will get to see the same familiar faces at events across the city. Everyone is so open and friendly in the making community. I’m fairly new to it and already feel like I’ve been welcomed in by so many talented people who offer help and advice or a bit of a chat. Also the diversity of what people do is so interesting as well. People are truly doing some unique things and it makes me want to be better at what I do and make a real success of it. There are so many ways to become involved in the community as well, it’s not just craft fairs. 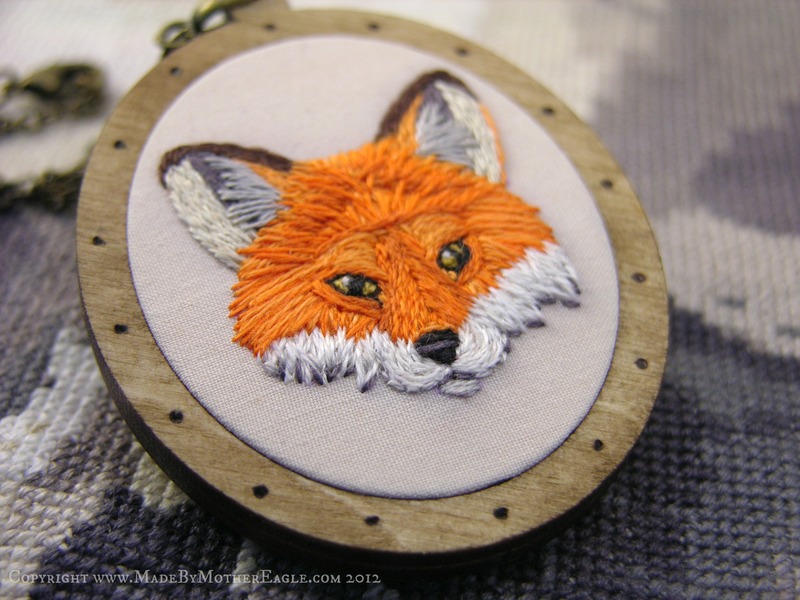 There are the monthly meet ups and talks put together by Craftaganza, the Brighton Etsy Team which also creates events and provides support and the twice yearly Open House festivals Brighton has to name a few. Really there is always something going on in Brighton! 9. What’s your favourite piece in the Woah There Pickle shop and why? Generally I think that the last thing I’ve done is my favourite print. I guess that’s a good indication that I’m still getting better at it! 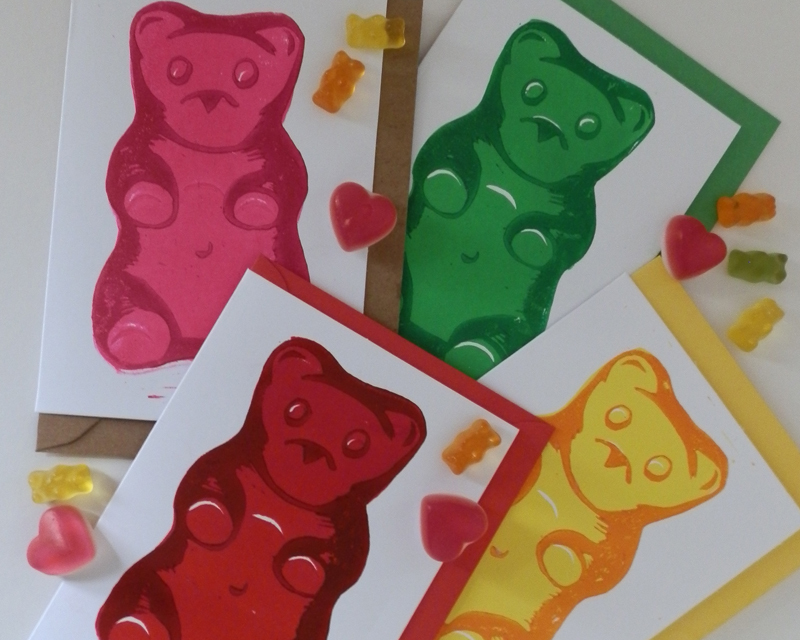 The last one I’ve done is a Gummy Bear card which is a great example of a print making me giggle once I get that revealing second colour on. 10. What can we look forward to from Woah There Pickle this year? All sorts! The studio I’ve started working in has an insane screen printing set up so although I’ll most likely keep using linocutting as my base for design I’ll be able to produce bits on fabric and combine the processes which I’m really excited about. I’m also starting to team up with some great independent retailers so I’ll hopefully gain more of a presence in physical shops this year so keep an eye out! 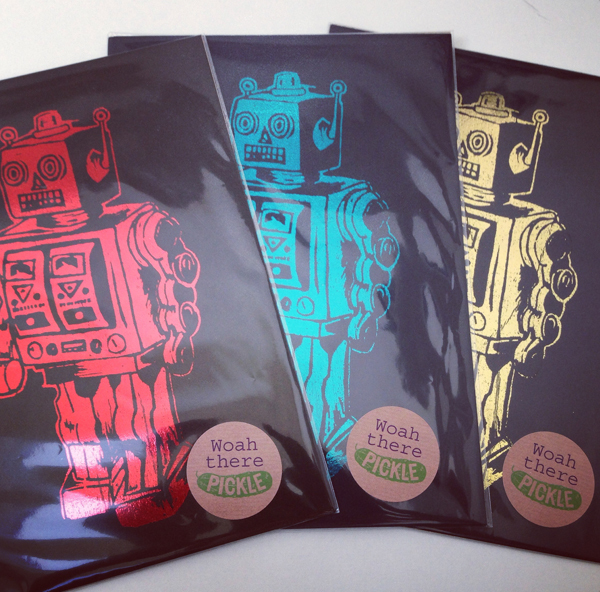 Website: www.woahtherepickle.co.uk where there’s a calendar of events to find me at craft fairs etc. As the world focuses it’s attention on France for the 100th edition of the Tour de France for the next three weeks, some people are bound to question whether a cyclist’s performance is due to his hard work and skill or to more dubious means. In the world of art and design people sometimes pose similar questions claiming that drawing on a computer is cheating and isn’t REAL art. This year I started using Adobe Illustrator to create and edit designs on my computer. I can honestly say it has transformed the way I work. As I started climbing a very steep learning curve (no pun intended) getting to grips with the strange new world of path tools and clipping masks; Neil Wyatt (otherwise known as The Handmade Cyclist) offered me a helping hand. Neil has created a range of stunning work celebrating the stories and scenery of the cycling world, which you can see scattered throughout this post. He’s very kindly agreed to answer some questions about how he uses uses Illustrator in his work. Does Illustrator really feature significantly in your creative process? It’s really central to it. It’s just a really fast way of working through ideas. I’ll often use pen and paper to quickly sketch out compositions and then use basic shapes in Illustrator to get a feel for how they will work. You can change shapes, reposition, work through colour schemes, and generally play around until you are happy the image will work. 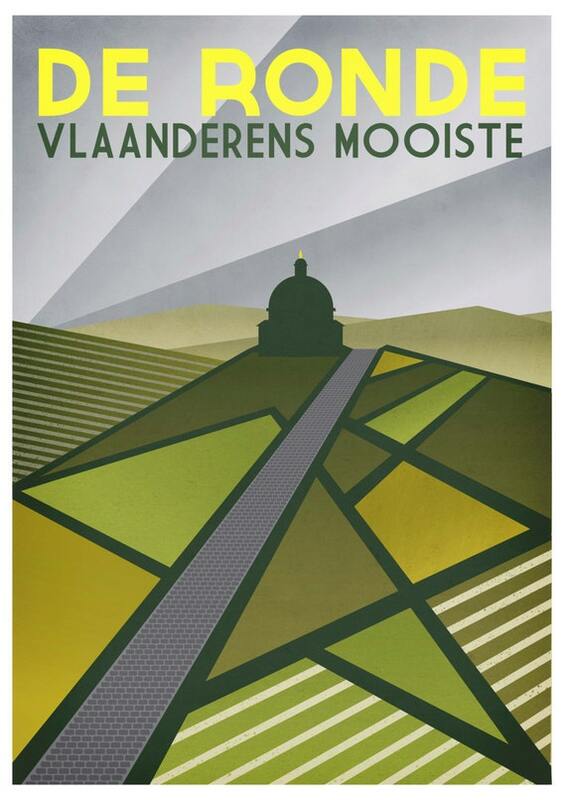 My Flanders poster is a good example – I must have come up with 15 different layouts of the shapes making the landscape before I was happy. Then it’s down to adding the details. Once the design is complete in Illustrator I will then paste it in layers into Photoshop to add textures and depth – this is vital to give the image that something extra. Vector shapes created in Illustrator can sometimes feel a little flat, so the final steps are important. Some people feel that using a computer is cheating – do you agree? No, not at all, its really a case of horses for courses. I love hand-drawn art, collage, paper cut – but I know I wouldn’t be able to get the precision I want using those techniques. When I was learning to draw I really loved technical drawing – in the days of using pencil, protractor etc – and I really loved creating precise exploded diagrams and the like. So I’ve always been drawn to creating sharp, graphic images. Using the computer helps me achieve the finish I want – that’s why I use them. Maybe in the future I’ll experiment a little with other media, but for me it’s about getting the right end result. What are the advantages and disadvantages of creating designs digitally? The advantages are the speed and flexibility. You can change composition, colour really quickly. You can experiment. Sometimes things happen by accident and you really like the result. You have complete control when you need it. The disadvantages are just like any art – sometimes it’s still hard to get the vision in your head onto the screen or paper in the right way. Sometimes I can still sketch an idea on paper better than I can get it to look on screen. It’s frustrating when that’s the case. You learn how to do things better every day – I’ve not even scratched the surface of what’s possible yet. A lot of people would say that craft implies handmade. In my own experience as a designer I would claim that craft refers to an understanding of processes and materials and how to use them skillfully, and so using a program like Illustrator to create designs is also using craft. Would you agree? Yes, for me Illustrator or Photoshop are just another tool to make things look better. I could do all my posters in pen and ink but would people like them as much? I’m not so sure. I do take great effort to make sure the whole process is done with love – I took time to find a great printer, who cares as much about my work as I do and produces beautiful prints. I might not hack the finished products out of a lump of tree with my bare hands, but the process is done with love, attention and craft. Just as the shape of a piece of wood might dictate the design a woodcarver can create, does creating art digitally dictate the outcome of your work? If anything I would say that using digital techniques makes the outcome more open. The possibilities are endless. And developments like 3D printing will really open things up – imagine the possibilities! Sometimes the open possibilities can be a bit daunting – having some restrictions and discipline can really help the creative process. With digital art it’s tempting sometimes to chase perfection, and that can be quite a negative thing to do – you’ll never achieve it and rough edges give character. I want to do more screen printed posters, there’s a purity there in the restrictiveness of the process, and some of my favourite artists like Army of Cats use screen-printing exclusively. But a lot of my prints are better suited to Giclee printing due to the textures and number of colours used – so again its horses for courses. Digital doesn’t mean bad – it’s just a means to an end. Once upon a time there was a wedding and my sister and her new husband chose “Hanging on the wire” by Paul Weller as the song to play when they had their first dance together. From that day whenever I hear the beautiful, rich voice of Paul Weller memories of that day come flooding back. 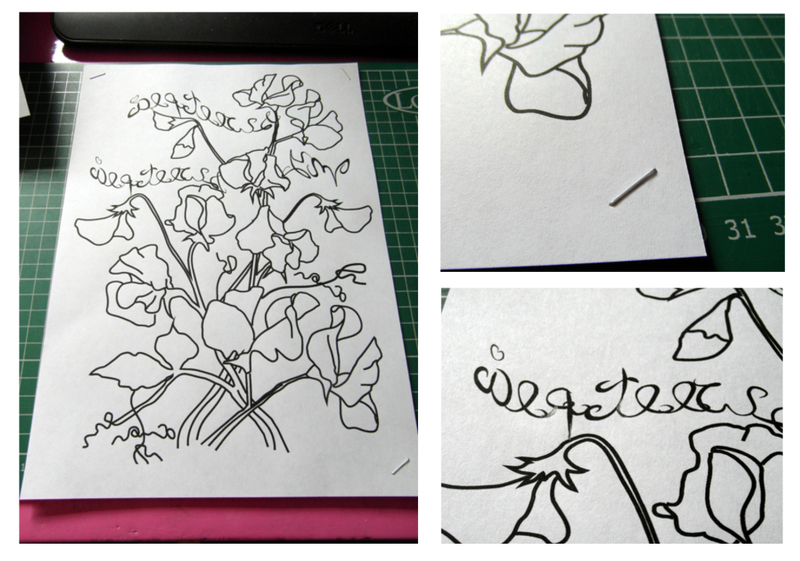 I will always associate the sound of his voice with love, and it was another of his songs and the simple lyric “Sweetpea, my sweetpea” that inspired this papercut. 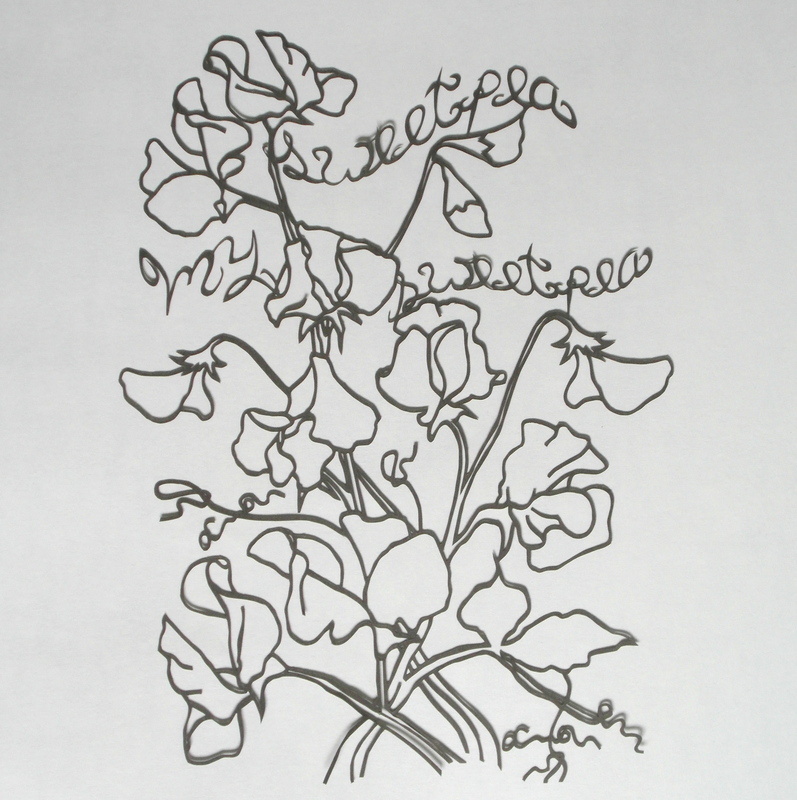 Last summer I grew sweetpeas in my front garden and they bloomed continuously for months. There were so many flowers and such a heady scent that people often stopped as they walked past and I was able to give bunch after bunch away to friends and neighbours. Some of those sweetpeas even went into a neighbours wedding bouquet! So let me tell you the story of how the drawings above became a papercut. 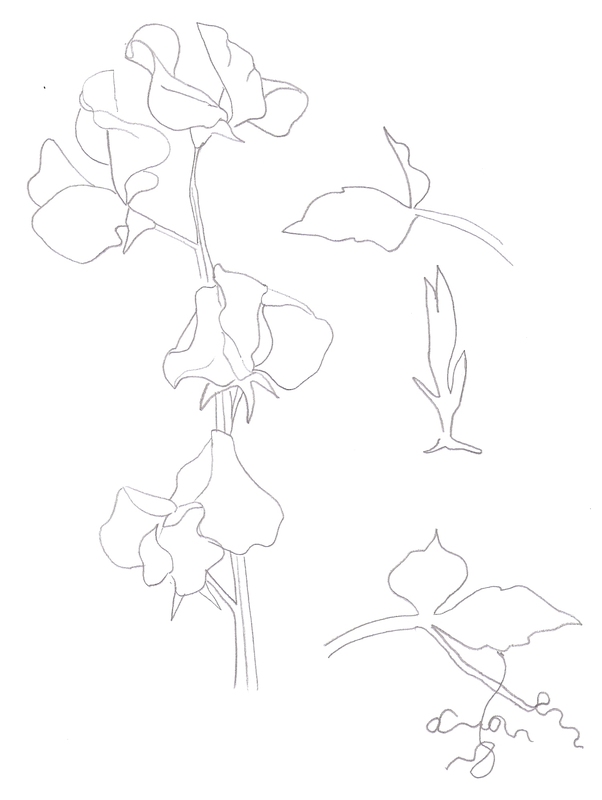 After sketching various sweetpea forms – a stem, a leaf, a bud and open flowers I scanned the finished drawings into the computer. I then played around with the various elements to create a design in Adobe Illustrator. By creating a digital image I can easily change or add elements. Once I was happy I reversed the image and printed out a design template. 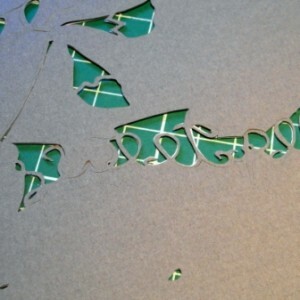 The image is reversed so when the cut is finished and you turn the paper over all the little scratches and any lines where the knife overruns slightly are hidden from view. I wanted to reflect that the inspiration for this cut came from a song sung in a deep, male voice, so I chose a high quality, slate coloured Murano paper to give a soft, textured look to the finished cut. 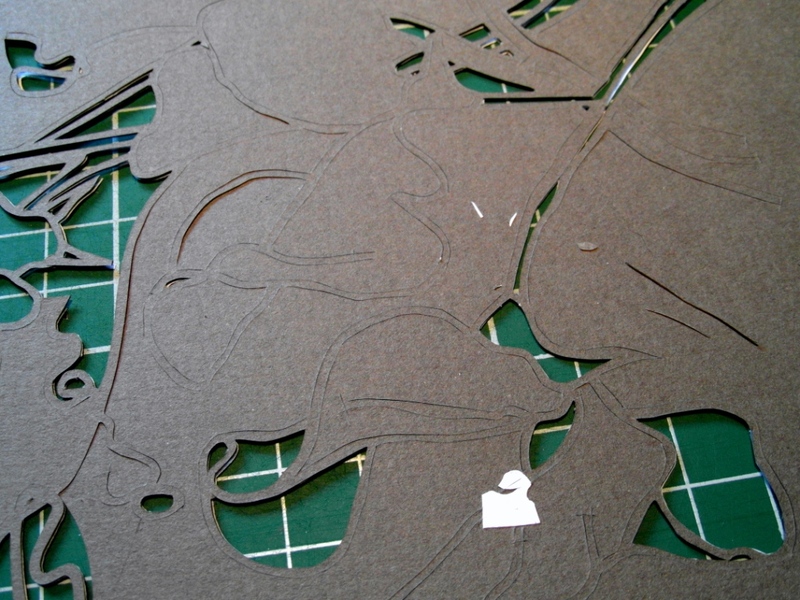 The cut starts by stapling the design template to the paper to ensure it won’t slip. 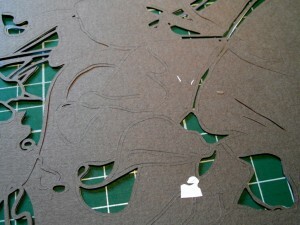 It’s also important to have the right tools – in this case an A3 cutting mat and an Xacto knife with a rotating blade. The blades for this knife are comparatively expensive and it can be tempting to keep using a blade even if it starts to blunt. As a result the cut suffers so I change blades as soon as they start to snag the paper otherwise it always ends in tears and frustration. I always start with the small details; ignore these areas at the start and it’s too late to add them in later when the paper is weaker. 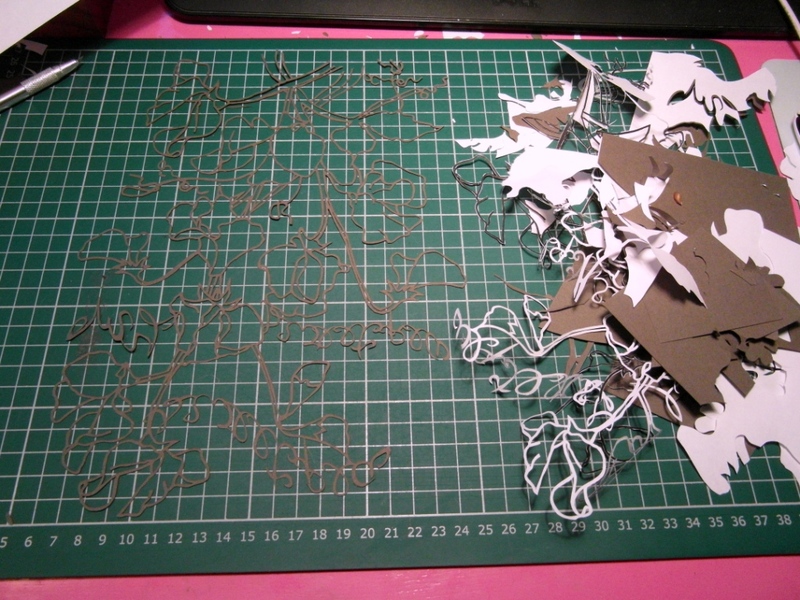 As I keep cutting, it becomes instinctive deciding which piece to cut next. I find that I get to know the piece of paper and how it will react to being cut. At this stage in the cut, the process becomes almost like a meditation. I find that as I focus on the twists and turns of the knife my mind is strangely free to wander and I find myself either reflecting on the memories that inspired the piece or thinking about who might be going to receive it. There will always be fragile and difficult areas in a design. I find it best to work on these gradually from early on in the paper cut so that the paper isn’t too weak to withstand the force of the cut causing fragile areas to tear. Here the text is gradually cut away but left in a protective “bubble” until later. This means that I can apply the necessary pressure with the knife blade to get a crisp, clean cut without worrying that I will rip a fragile strand of paper. It’s important to protect the design as it progresses. Resting a piece of paper over where I have already cut stops me from unintentionally catching the papercut with myknife, hand or arm causing it to tear or crease. When working with a textured paper like this Murano paper I find it is sometimes better to make an initial trace cut which I then go over again once the design has been completely traced with the knife. 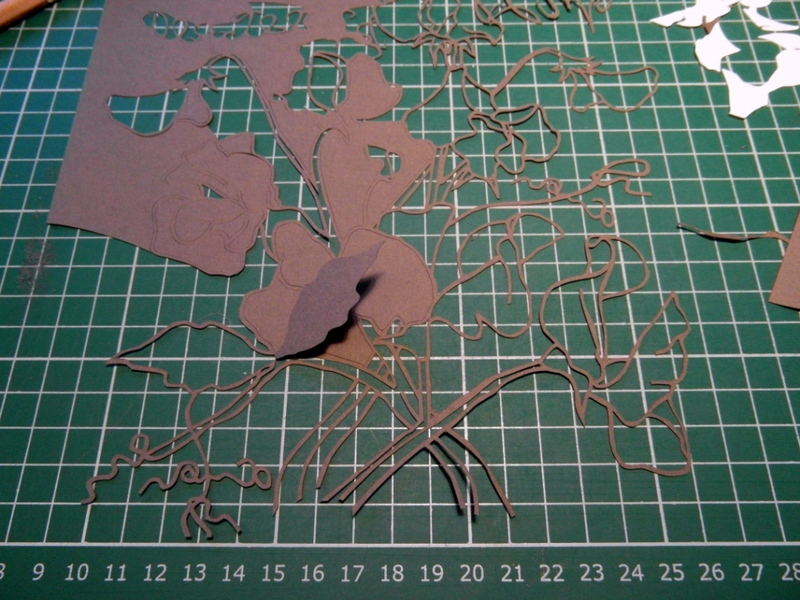 After I have removed the stapled design I can then cut fiddly turns with confidence rather than making mistakes. When the goal is in sight it is easy for me to get impatient and rush. I have to remind myself that good things come to those who wait! Once I’ve finished the cut I always get some satisfaction from looking at the pile of paper at my side. It is evidence of the hard work and time I have put into the papercut. And then the hours of drawing and cutting come to an end. It’s time to enjoy the result. 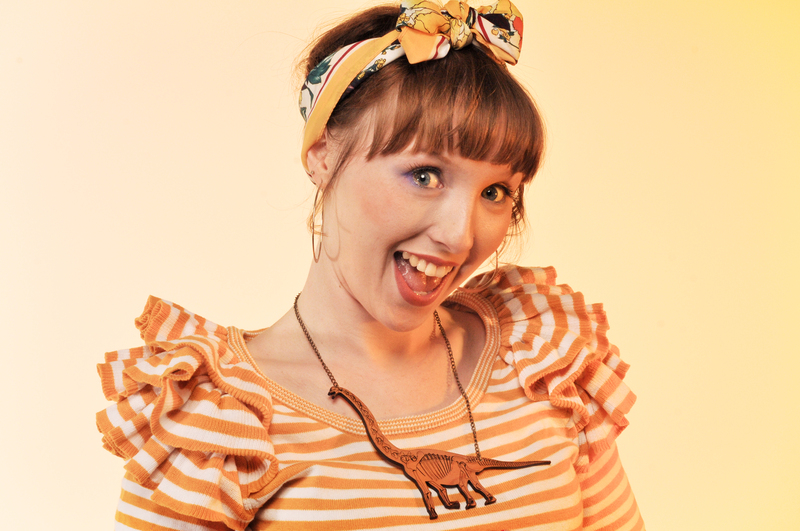 I’m Katie, 33 years old, living by the seaside near Brighton with my husband and 2 naughty cats. I studied fashion at university and creativity was my first love, but this became neglected and I have spent my working life in retail. A few years ago I decided to create Mother Eagle as a means to rediscover my art, and she’s been haunting me ever since. 2. 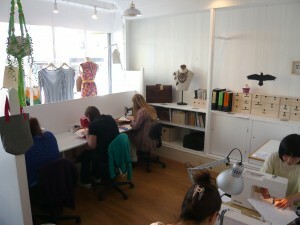 Lots of designer makers feel very connected to their environment. Has your recent move to Brighton had an impact on your work? Mainly in that I haven’t had as much time to make anything! Seriously though, the move down to Brighton was a LONG time coming, I’ve been in love with the place since I had my first holiday here without my parents at 17, and had a wicked and wonderful time. I’d say it’s too early days to see how the physical place has or will influence my work, but I do know I feel inspired and enhanced in every aspect of my life living and working here. 3. As a fellow Handmade Horizons course graduate I have had the privilege of seeing the journey you’ve made as a designer/maker. How would you describe your creative journey over the last year? A huge development! 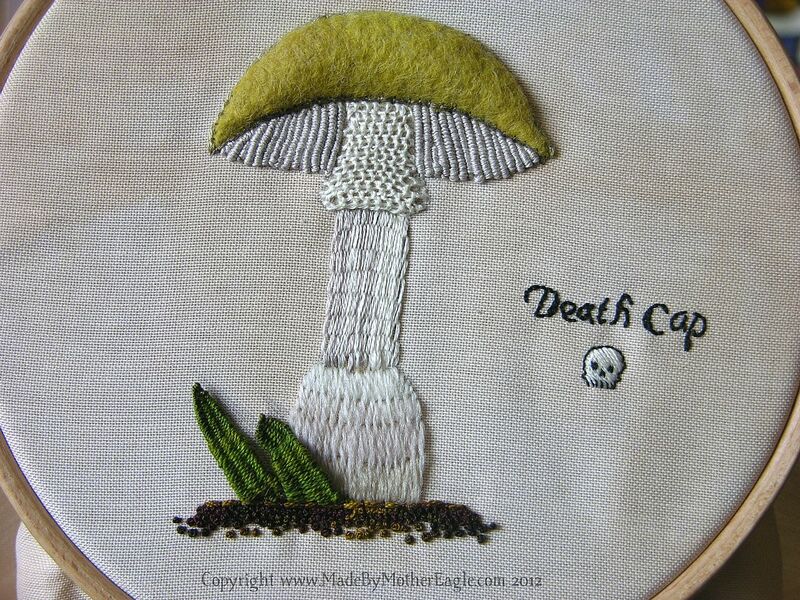 I looked back at my blog archives to see where I actually was a year ago and at that point I was just doing my Death Cap Toadstool stumpwork sampler piece, to teach myself more advanced techniques. 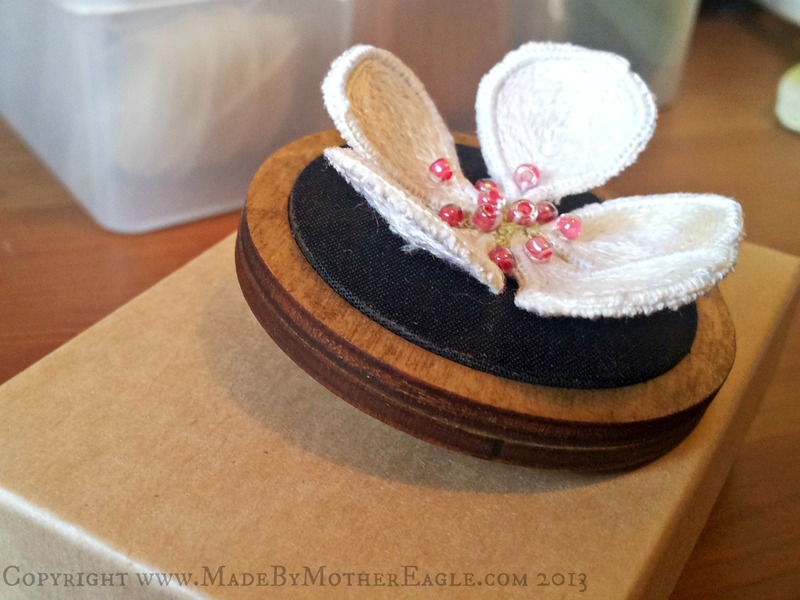 It was only in March of last year that I realised embracing my inner-embroiderer was the way to go and I began creating miniature embroideries for jewellery. I went down to part-time employment in November 2011 to really focus on my business but it was going in a VERY different direction up until I started the course. It actually blows my mind where I am today to where I was a year ago. 4. The choice of materials you use in your work is clearly very important – can you tell us more about the material choices you make when creating a piece? It’s really very organic to be honest: my mum has a HUGE collection of threads, fabric and equipment, not to mention knowledge passed down over 5 generations. When I started getting into cross stitch again, with my skull pillow (the first thing I made that I blogged about) she gave me loads of it. So I have about 9 boxes of cotton embroidery thread on bobbins, just from her. Other than that, I love colour so when I’m using silk I tend to go for hand dyed, slightly mottled or variegated colours. 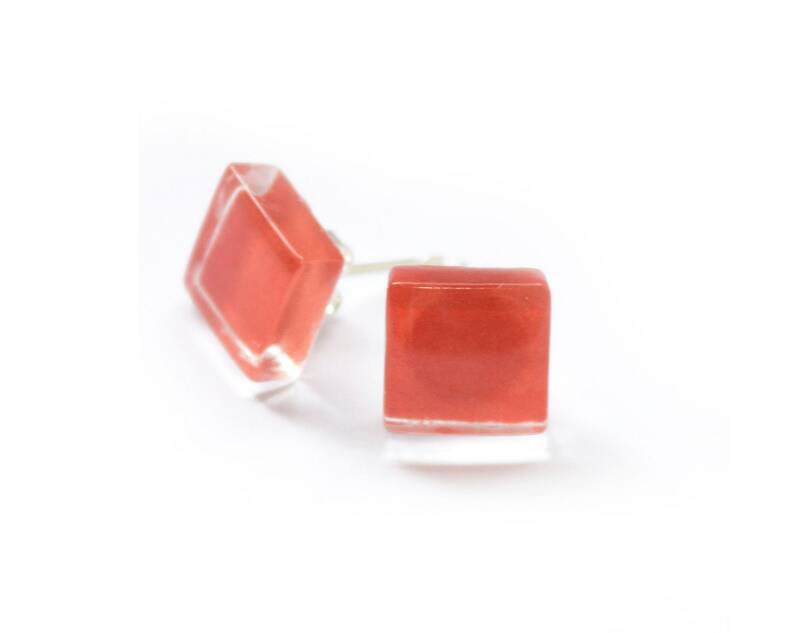 Fabric wise, for the little jewellery pieces, it has to be thin enough to be sandwiched between the frames. I mostly use very old cotton bedlinen. 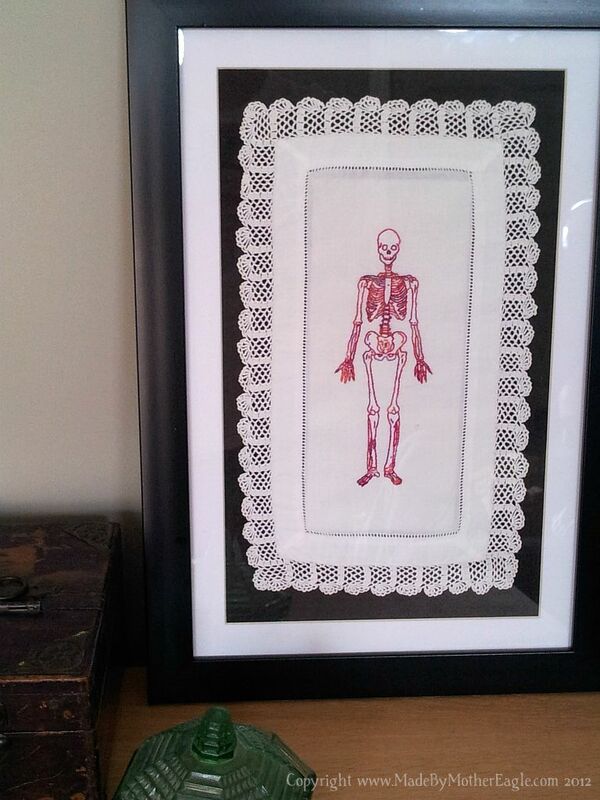 For art pieces I’m using vintage lace doilies, and they themselves tend to suggest the embroidery – for example the Red Death – a skeleton was the perfect choice for this long thin doily. 5. There is a very strong story behind the Mother Eagle brand – how did that come about? Through the Handmade Horizons course actually! At least that was the catalyst for it. We were asked to create a profile for our ideal target customer, which I did, but then my product completely changed when I switched back to traditional handwork. At the time I was really struggling with knowing how to unite all the different things I was passionate and interested in producing, but wanted to have a consistent brand feel without getting bored with it myself. One day I sat down and this faux-myth just flowed out. Although the fictional muse of Mother Eagle isn’t a customer of course, as an artistic narrative she constantly inspires me and gives me a place from which all my work anchors. 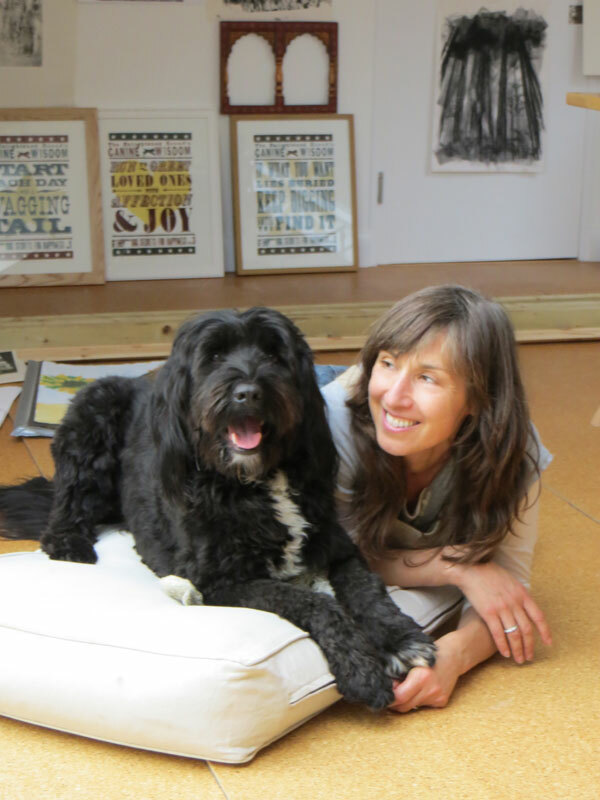 She’s a bit like my editor; if I have an artistic choice to make, I ask ‘What would Mother Eagle do?’ or ‘how would this animal/plant/piece of dead body fit in to her life?’ – that usually does the trick. 6. 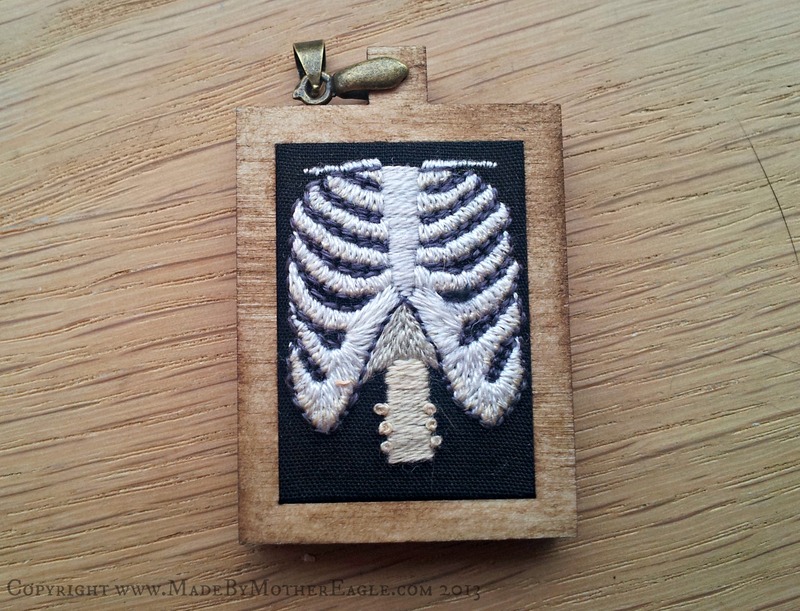 Are people surprised at your use of a “traditional” craft in such an innovative and unusual way? I’m not sure really! I can’t say as anyone’s ever expressed surprise. I would say it’s interesting how different people seem to approach my work from a place they feel comfortable with. For example the different animals attracts some people, the toadstools for others, the anatomical stuff again is a different crowd. Usually it’s the size of the work that capture’s their initial attention. 7. We’ve been particularly impressed by some of your recent commission work. What are the highlights of the commission process for you? I like that it gives me a chance to work on a much bigger scale, and also that it allows me to explore a subject I wouldn’t necessarily go to on my own. 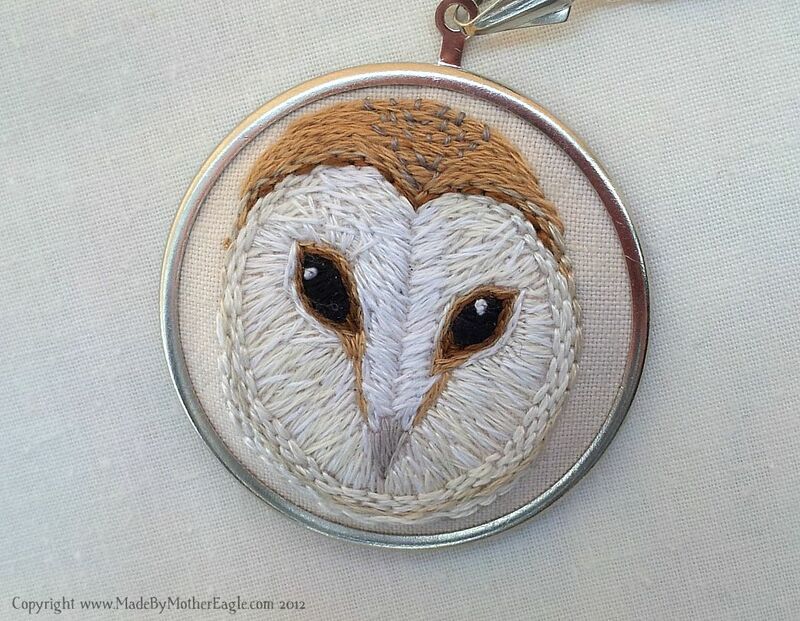 I have always said I do not want to be an ’embroiderer for hire’ and as such don’t want to be trapped having to do a portrait of someone’s puppy as it just doesn’t make sense to Mother Eagle nor inspire me ( I love dogs – just not to make art). However when approached I try to be very open minded and working with the client to know what it is that they love about the subject matter is a good ‘way in’ for me. For example, the Swans piece I did last Christmas. 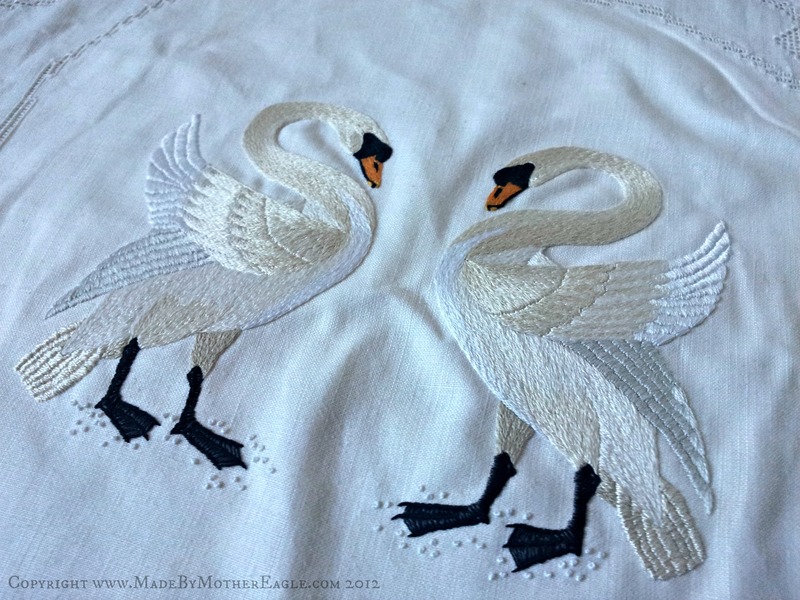 I would NEVER ‘do’ swans ordinarily, but my client’s ideas for the overall piece, and the general bird-theme which is always attractive, plus the classical symbolism, the challenge of a limited palette, and the big scale made the whole thing exciting. I’m working on a piece now which I think will be so cool when it’s finished, and again, has exposed me to different themes and directions I might not have wandered down by myself. 8. There are very strong themes to your collections – where does the inspiration come from and do you feel liberated or constricted by keeping so closely to these themes? Liberated! But it’s an insightful question because as I mentioned earlier, it was because I couldn’t see how I could unite all these seemingly disparate interests and passions I have as an artist into a cohesive collection for an audience in the beginning. I love/am interested by folklore, animals, symbolism, magic, witchcraft, tattoos, goth, ritual, herbs…Creating Mother Eagle as a character inhabiting this fantasy world in my consciousness allows me to weave all these threads into her story with complete freedom in a way that makes sense to me and, I hope, to my audience. 9. Many people comment on the scale of your work and how amazed they are when they discover the true size of your pieces. 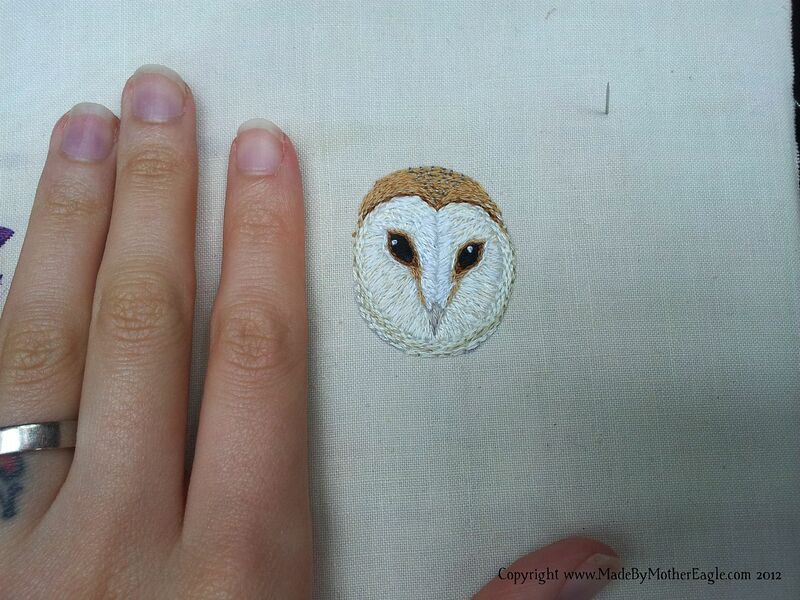 Your stitches are so small we wonder – does Mother Eagle actually work with pixies? Ha ha! I have had a nickname since school which is Pixie – on account of my elfin like appearance I guess. I also met a psychic once who told me I am actually descended from fairies. So there could be something in it! 10. What does the future hold for Mother Eagle? 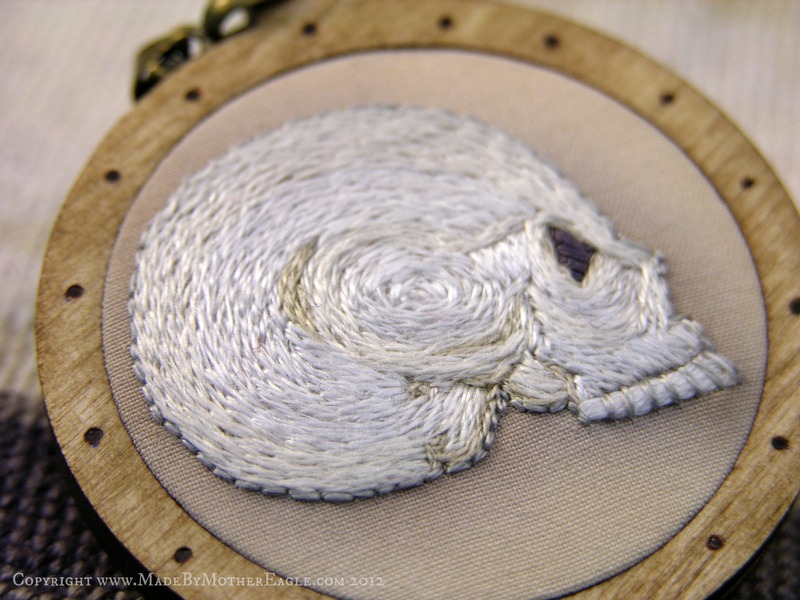 More embroidery, more jewellery, more art, more magical animals, more poisonous plants, more bones…hopefully more exposure and interest and more success! If you’d like to find out more about Katie’s work or purchase one of her beautiful designs here’s the link you’ll need. Oh and did I mention that she is currently having a SALE with discounts of up to 50% off?! Today’s post is a fascinating insight into the work of Neil Wyatt aka The Handmade Cyclist. I’m a lifelong bike geek – aside from a short period in my early twenties when the usual distractions of girls and music led me astray for a while – it’s always been about the bike. I grew up in Ireland in the era of Kelly and Roche (and Earley and Kimmage), so it was rather like Britain now with Wiggo and Cavendish – suddenly everyone was into cycling. I still remember my first club run with Bray Wheelers (the club of the great Shay Elliott) – I was crawling by the end! I’ve also always had a passion for design – so it was a logical step to bring the two together. I actually find that mentally they are similar experiences for me – just really immersive, you can just clear your mind and focus on it. It also gives me great pleasure to know that all that time spent as a teenager (ok, and as an adult) reading every cycling book, biography and magazine I could lay my hands on was not put to waste! It’s a bit of a cliché but there really was not a lot of cycling on the TV outside of the great Channel 4 coverage of the Tour (well, that and Trans World Sport… I miss Trans World Sport!). So cycling magazines were my bible. And the sport looked great in photos in the 80’s – no helmets, no Oakleys, some great kit and they all pushed huge gears so had the most cartoonishly huge thighs! That love and knowledge of the sport from my youth has really stayed with me and hopefully you can feel and see that in my designs. 2.You describe yourself as a bike geek – what are your best and worst biking experiences. A couple spring to mind as my best. I did the Marmotte a few years back, and it was such an emotional thing for me – to actually ride those roads I had read about for so many years. It was also pre-kids, so it marks the high-water-mark of my fitness as I had time to train properly! I will never be that fit again, sadly. The second is more recent – taking my five year old son out for his first proper off road ride. We were dead slow but seeing his concentration and pleasure was just so rewarding. Its great watching kids take to the bike – it brings all those memories of the simple pleasure and freedom they give you come flooding back. I think that’s one of the reasons why cycling is so popular – no matter how long you’ve given it up for, get on a bike and that pleasure is there. You never forget it. Worst… well, the human brain has a remarkable ability to put bad memories in a box somewhere. But most likely one of the many times I’ve suffered from the hunger knock and you just wonder how on earth you ever will get home. Or the time a couple of years back when I crashed night biking – I broke my collarbone and in the words of a doctor “a bunch of ribs”. My friend Will had to ride home with my bike like a cowboy returning to the ranch with a riderless horse, whereupon he greeted my wide with the words ‘well the good news is I think his bike is alright’! 3. So many cycling enthusiasts talk of the romance, myth and colour of races like the Tour de France and your work seems to capture it perfectly. I was struck by your beautifully written descriptions of famous races and mountain climbs and wondered how the scandal of doping in professional cycling had affected your view of the sport and your work? Well, its always been there, hasn’t it? I think for many fans the organised nature of the blood doping from the 90’s onwards really soured it – not just because it was so blatant but also the racing suffered. It got boring. Ha! Doesn’t that say a lot about how twisted cycling fans’ compasses can be? We tolerated drug taking for years because it was individual, amateurish and the exploits were still heroic. Put a team of doped up USPS riders on the front of a race to kill the romance, and the view changes. 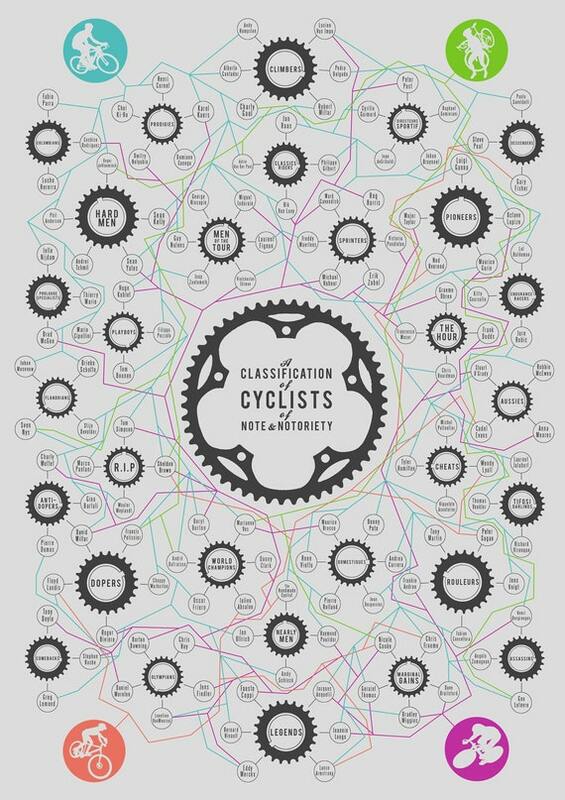 I actually have really tried in my work to make sure its not a rose tinted view – the ‘A Classification of Cyclists of Note & Notoriety’ print has Dopers and Cheats sections. Its part of the fabric of the sport and there’s some mind-boggling stories there. But I think for anyone creating art about cycling there’s a romance about the past that has been lost from the present day peloton. But there’s hope! 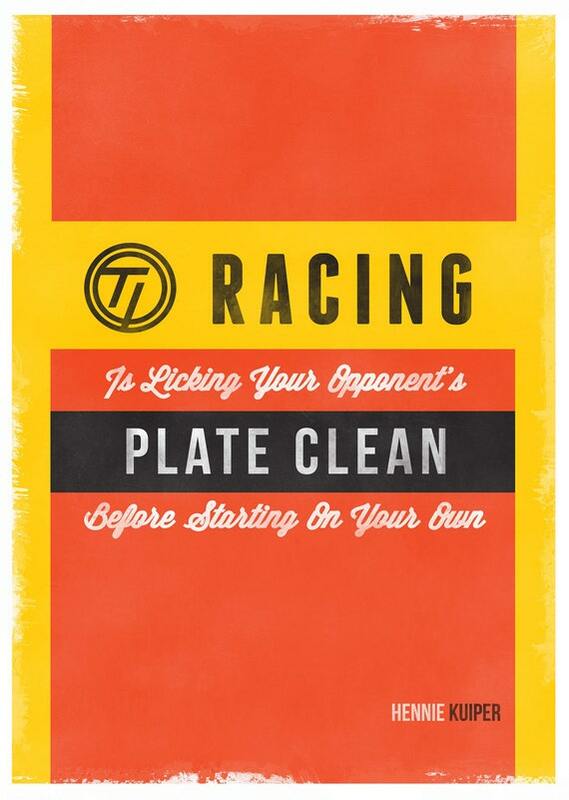 I really believe riders like Dan Martin and Taylor Phinney are doing it clean – and winning too. Maybe all is not lost. And the mountains and bergs will always be greater than those who ride them. 4. 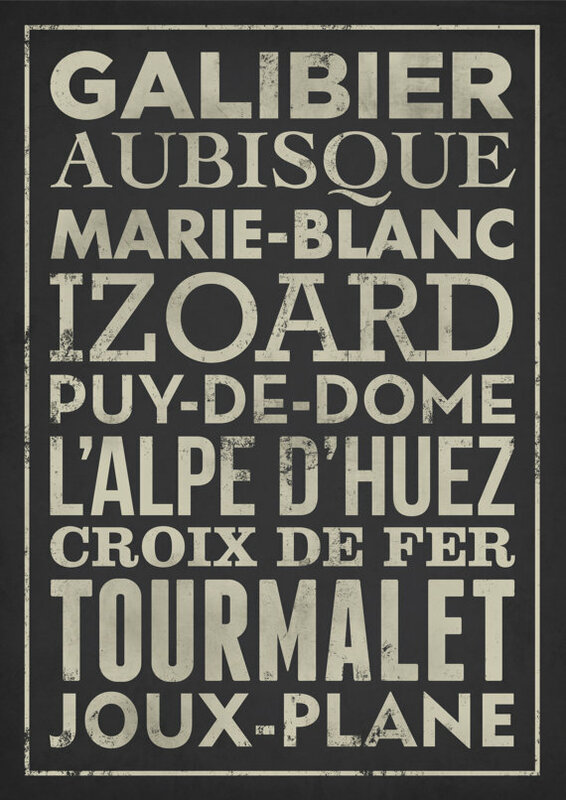 If you were creating your own personalised cycling art print what would your nickname be? I have really skinny legs so perhaps The Whippet. Not sure I am fast enough for that though. Or given my recent lack of time to maintain my bikes perhaps The Reluctant Mechanic. 5. Which is your favourite words of wisdom quote and why? 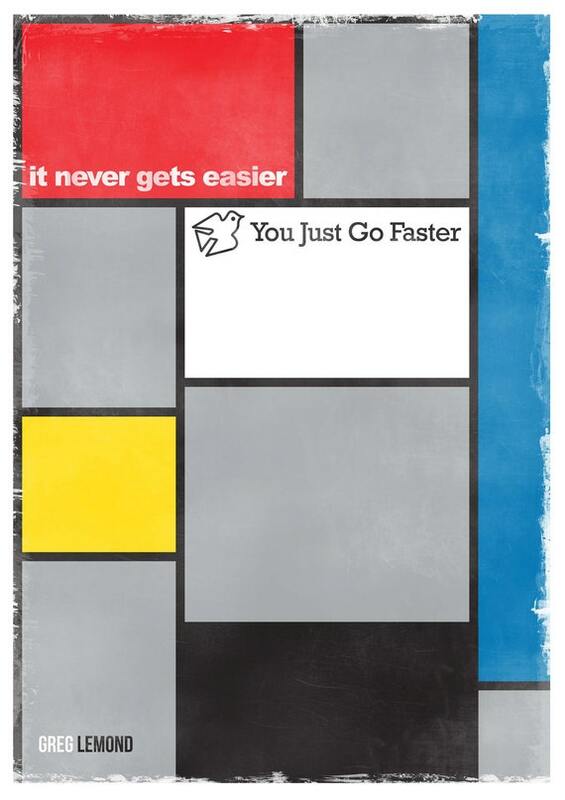 Got to be ‘it never gets easier, you just go faster’ from Greg Lemond. 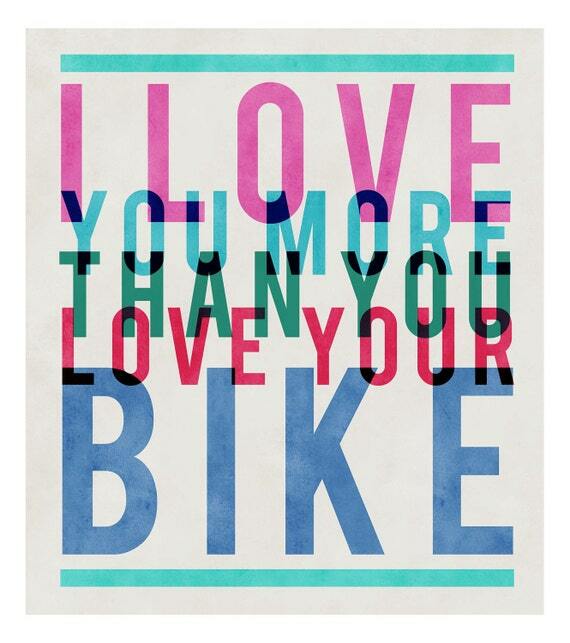 Never a truer word spoken about cycling. 6. What inspires your choice of colour? It depends on the story behind the picture. 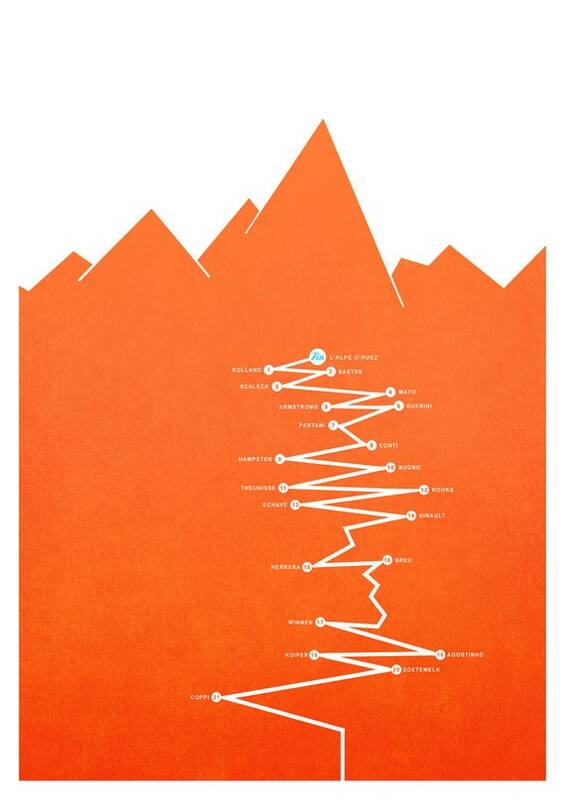 For my Alpe print it just had to be orange – it’s the Dutch mountain! The Monuments prints set out to capture the essence of the classics. 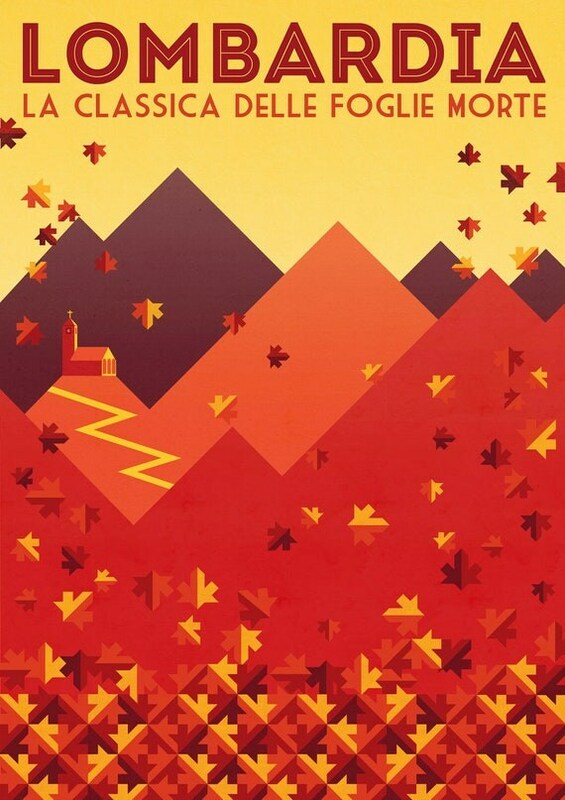 So it was all murky spring colours for Belgium, the bright sunshine of the Ligurian coast for Milan – San Remo, and the autumn setting sun for Lombardia. The idea dictates the colour scheme in most cases. 7. Where do your ideas come from? 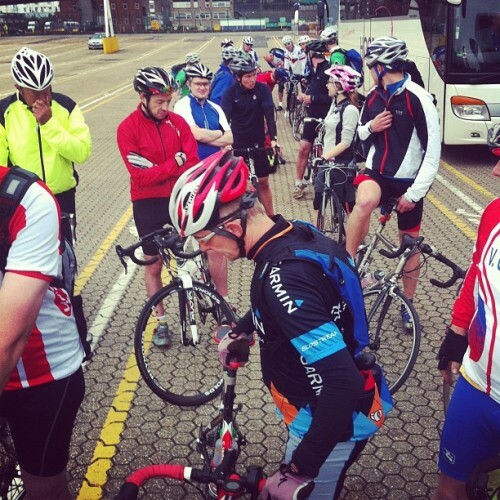 Is it watching races, whilst out on your bike or reading about the cycling greats? All of the above! I try to make sure all our designs are based on an idea or story, or some facts about racing. There should be something for the viewer to find out or decode. 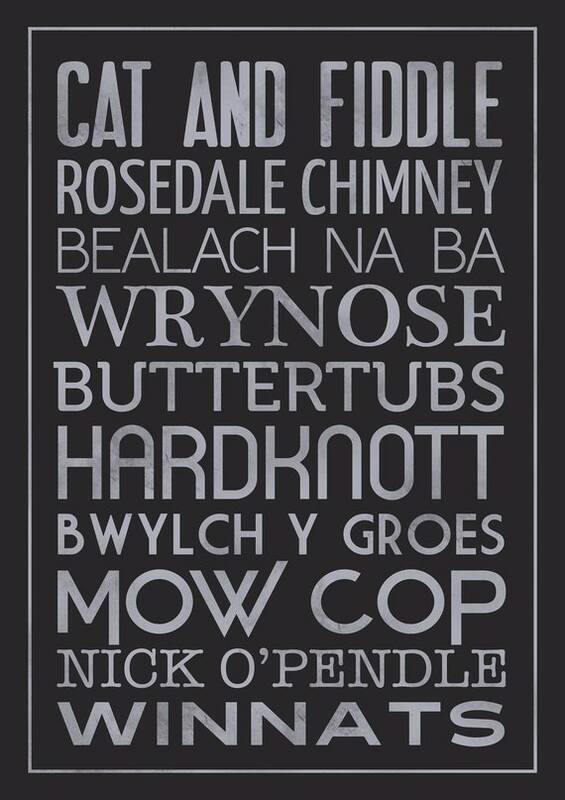 My favourite for this was researching the Classification print – I’d hope there’s no-one in the world who would know every single name on there. I like the idea of people looking up the names on there and learning about their story. 8. Do you think cycling can claim to have its own particular aesthetic? For me, cycling is the most stylish sport. 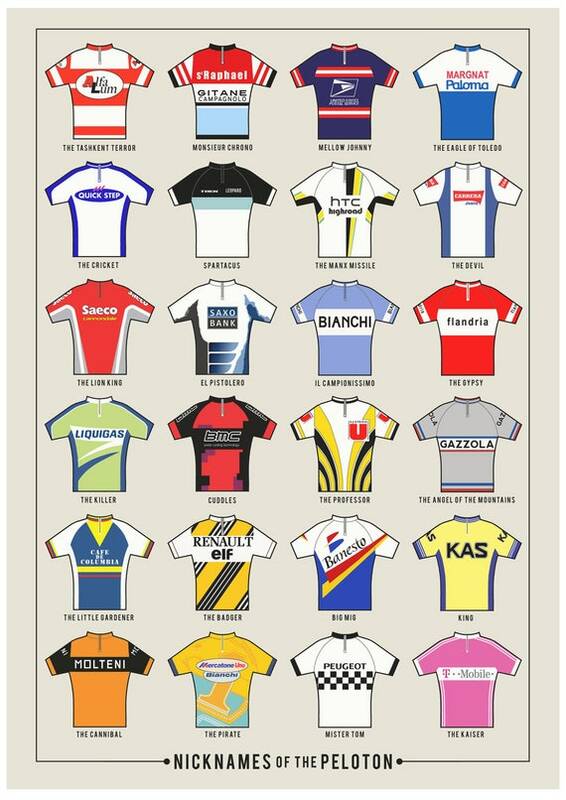 Particularly the golden era of the 1950s and 60’s – not too many logos, lovely bikes with loads of chrome – Bianchi, Masi… simple clothes in wool. Stripes. Short shorts. I should qualify that – cyclists are stylish on the bike, it takes rare rider indeed to look good in bike kit off the bike. I also think that the aesthetic of suffering is important – it’s a sport that displays the rawest emotions at its greatest moments. Its pure. A window into the riders’ souls. And the sport is defined by the landscape. 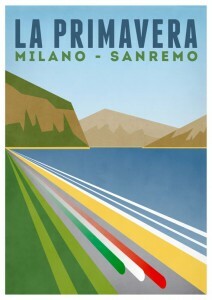 There’s a lot of beautiful sports and art forms out there, but none that have the arenas of cycling. There’s not a stadium, golf course, opera house or theatre that can compare to the Izoard, the Lugurian Coast, the Dolomites. So you have a stylish sport, beautiful technology, and incredible landscapes – unbeatable. 9. 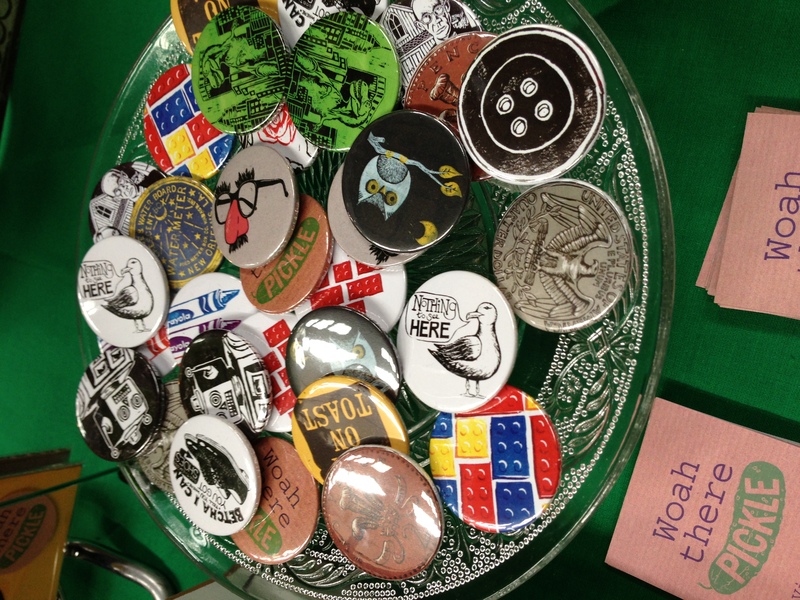 What can we look forward to from The Handmade Cyclist this year? We’ve got some really exciting plans – we should have some really great new posters out by the summer that we’ve spent a lot of time researching. I think they will give even the geekiest of bike geeks real pleasure and new things to discover. And we hope to have some new products too – we trialled a run of some mugs before Christmas and they sold out in a week, we could barely keep up! The very popular range of mugs created by The Handmade Cyclist last year. 10. 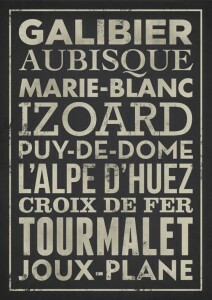 How will The Handmade Cyclist be celebrating the return of the Tour de France to the UK in 2014? My wife’s family are from Bridlington, so hopefully by getting up to Yorkshire, riding the route and seeing it as much as I can! This year at Rosie and the Boys we have branched out into using the skills of others to help create some of our products. We are passionate about creating things by hand but want our products to be available to a wide range of people and budgets. With this in mind, we set about searching for some of the UK’s finest to help. 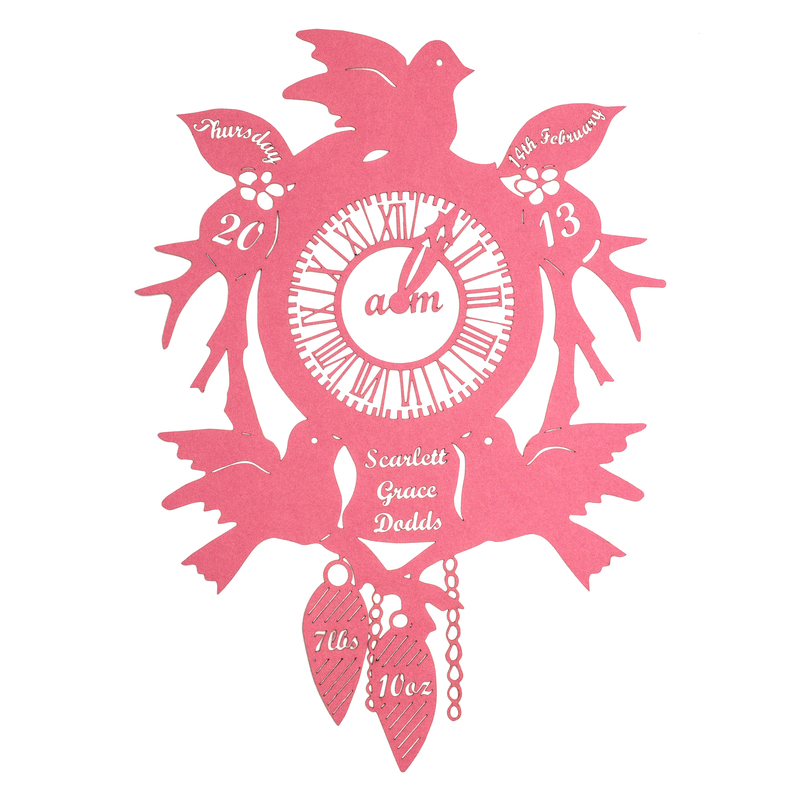 Our Cuckoo Clock celebrating the birth of a new baby seems to lend itself particularly well to the laser cutting process. I was thrilled to be stall neighbours with Jacques and Karli of Designosaur at December’s Crafty Fox market and even more delighted when Jacques agreed to help out with laser cutting some of my designs. It has been fascinating learning more about the process behind creating a lasercut design and Jacques has been a very patient teacher. Early on it became clear that many of the skills associated with “traditional” crafts are still required when using new technologies. Laser cutting is used more and more in products. Why do you think it is so popular? Laser cutting is amazing! You can take digital images and use them to create accurate Models, Cars, Jewellery, Electrical Components, Clothes and Art you can even use it to cook sausages. I think that it is it’s versatility in a wide range of industries that has made it so popular. It allows people to create unique products at the touch of a button and you don’t have to be a millionaire to do it. Can you laser cut anything? 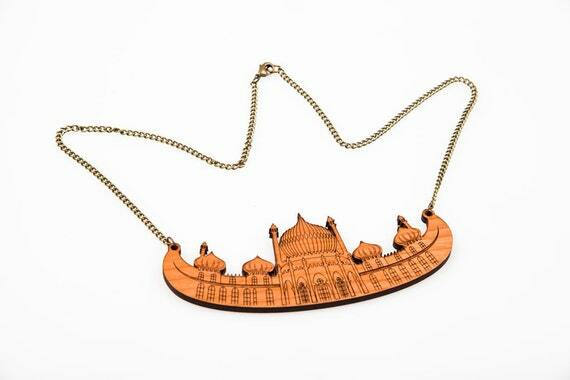 What is the best thing about laser cutting? And the worst? The best thing about laser cutting is that it is inexpensive, the worst thing is that everybody thinks that it is easy to do it well. Tell us a bit more about the process – do you walk around with an Austin Powers style laser gun? Unfortunately not! The laser cutter is a big machine, that uses a laser to cut out designs from your CAD drawing. It takes a matter of seconds to cut out a small shape but the more detail you have in a design, the more expensive it will be! Jacques does all of the laser cutting for designosaur, so for us, he creates the designs, makes sure all of the cut lines, engrave lines are in place, sets the plastic (or other material) up on the laser cutter, the laser cutter cuts the design, and the process is self finishing… HOWEVER if you use wood like us, all the pieces need cleaning afterwards. The laser cutter runs at different speeds and intensities and it is experience which means that you can get the best cut for each material, thickness and finish. What creative opportunities does laser cutting provide designers? The ability to use a range of mediums with only one tool. It also means that you can experiment without spending too much money! How does someone get into lasercutting? 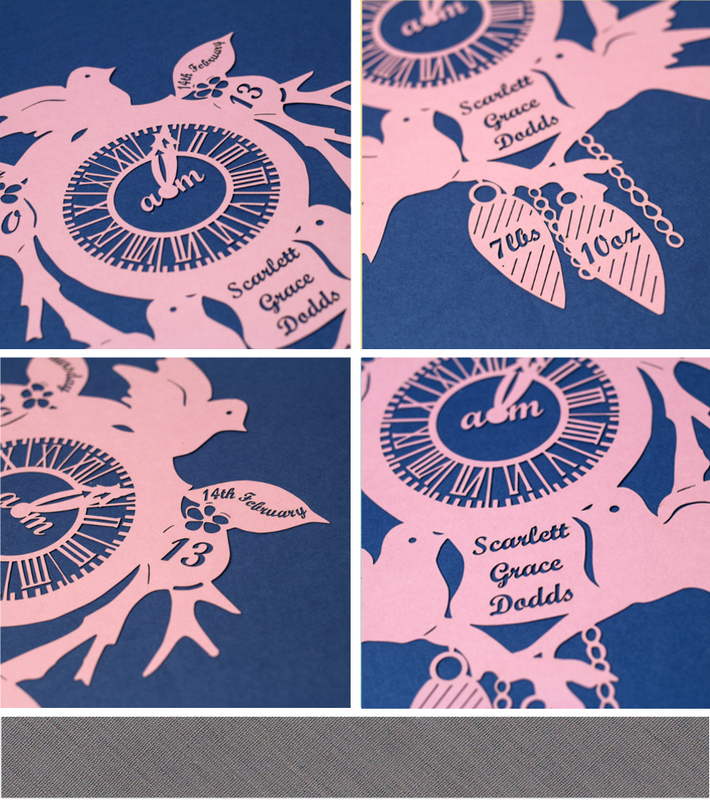 Lots of people are laser cutting at School or University these days, if those days are behind you then having good CAD drawings means that you can get your designs cut at any laser cutters. When you go to the laser cutter it is helpful to have an idea of the process so that you and the laser cutter are on the same page! Do you think 3D printing will take over from laser cutting? Definitely. The price for 3D printing needs to come down quite a lot to make it more accessible but eventually a lot more people will be using 3D printing for jewellery and everything else really! Laser cutting is a completely different technique which only works in a 2D form. 3D printing obviously means that you need to be able to model items in 3D. We think that converting 2D drawings into 3D drawings and keeping that designers style like you can with laser cutting will be a lot harder, so there are a lot of laser cutters out there that would need to 3D model! Who are your laser cutting heroes? I get a new hero almost every day its great just seeing how people constantly use the laser to create amazing new designs. Some people may think that using a laser cutting machine is not “craft” in the same way as something like woodcarving for example. 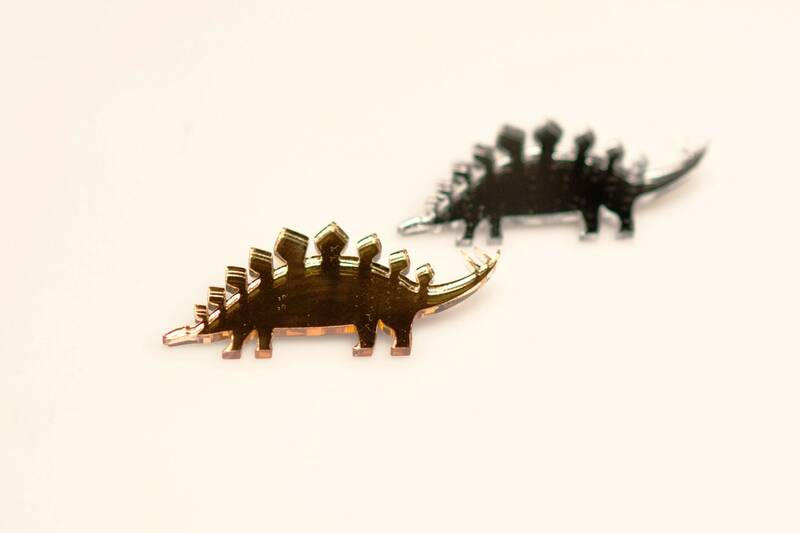 Can you describe the craft element of lasercutting? The craft in Laser cutting is in the design not the making. However, the craft element is also in knowing your material and your process inside out. 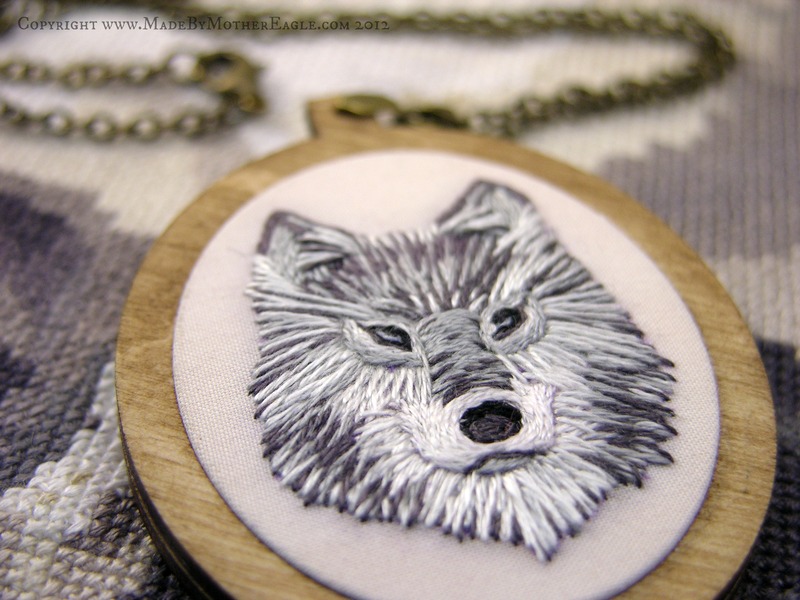 All woodcarvers will know that doing something a certain way could ruin a design – with laser cutting it is the same thing, to get the best results you have to know the process inside out. However we are quite happy to be known as designers not crafters! ‘Kooky’ – well most people say ‘weird’ actually but I prefer ‘kooky’. ‘Creative’ – I have always loved to create things with my hands – I get a crazy joy from taking a bunch of materials and turning them into something useful or just pretty to look at. ‘Palaverous’, a new word I learnt, which means wordy. I’ve gone and used four words to describe myself now so I guess that says it all. 2. 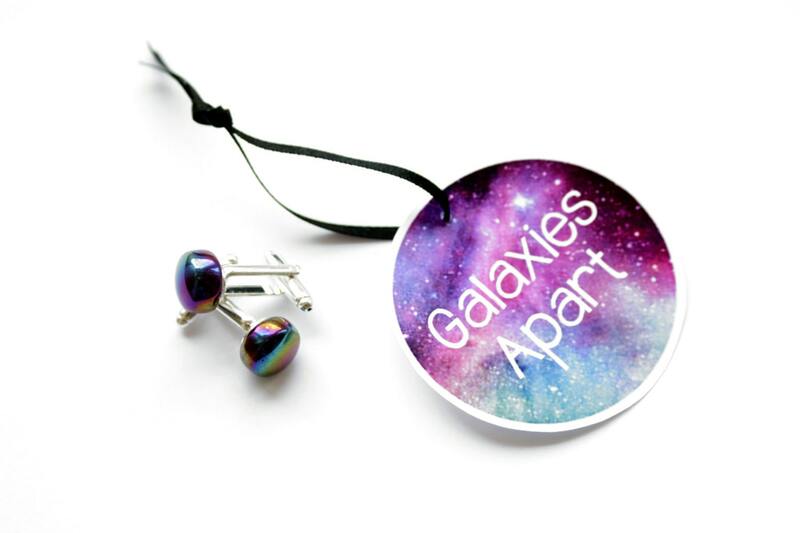 You say you are inspired by all things geometric, galactic and geological. If you had to pick one which would be your strongest influence and why? For Owlish Grey, I think I am most inspired by geometry – I just find myself drawn to minimal shapes with clean lines. Really though, the scientific inspiration isn’t exactly limited to these three things. I have an old and very big ‘Hutchinson Encyclopedia of Science’ that I love to flick through – this is great for ideas and chucks out new areas of science for me to look into and maybe create something from. It is such a great book – plus, my name is Gemma Hutchinson so it really feels like a big book just for me. 3. 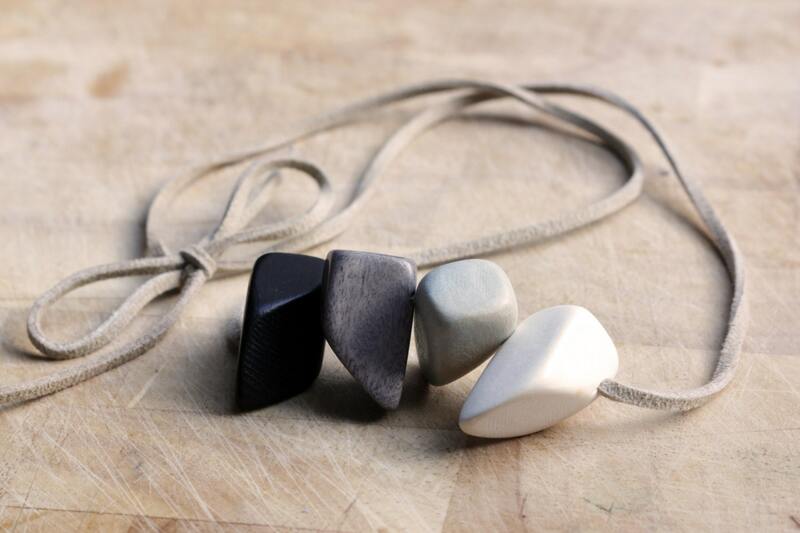 What’s your favourite stone, shape and constellation? Someone once asked me “What’s the most special thing you have ever held in your hands?” – this is a brilliant question that I now ask all the time because I love the variety of answers I get in response to it. Most people have to have a think about this a while but I knew my answer instantly and replied “Lightning!”. Obviously I need to explain. When I was a kid my parents took me to Matlock Bath, which is close to where I live in Nottingham. We visited a stone quarry and then went into the gemstone shop. This was the day I decided I wanted to be a geologist (archaeologist and palaeontologist came later with the advent of Time Team and JurassicPark). I was fascinated by all the shiny colourful stones and was umm-ing and ahh-ing about which to have when the shop keeper came over to help me. I remember him to be an old man, but I was a kid so he was probably just the age I am now really. He gave me two dusty white stones that were pretty lack-lustre compared to everything else in the shop. He then dimmed the lights and told me to bang the two stones together – voila, LIGHTNING! Well, probably just a few sparks but to my imaginative child eyes there was an actual rod of lightning between my two small hands. Obviously, these were my take-home stones and quartz remains my favourite today, particularly the rutilated kind. Shape – Circle. The circle has a mocking kind of character about it – who can draw a perfect one?! I certainly can’t. The circle literally lives in its own little bubble of mockery – I like him, he’s cool. Constellation – Draco, the Dragon. Because it’s a dragon! I don’t think I need to say anymore but Draco does also look down on Hercules! 4. Many don’t see science and art as particularly compatible; people are “good” at one or the other. What do you think? But what about Leonardo Da Vinci?! Okay, so his talents were considered to be superhuman, possibly not the best example. But most of my friends are scientists and almost all of them have artistic talents outside of their dayjob; a few have their own bands and my friend Mark is a brilliant scientist, currently building a giant world atlas out of computer parts in his spare time! Science itself has so much to offer for artistic inspiration too, hence Owlish Grey. Anyone that chooses the path of science is simply seeking truths about the fascinating world that we live in – this craving for knowledge doesn’t necessarily mean losing an appreciation for things just because they are beautiful to look at. 5. Each of your letter charms comes with a rock fact – which rock would you pick to describe yourself and which for Owlish Grey? For me – Quartz, just because I am a sparky kind of person. For Owlish Grey, it would have to be Howlite! This is a white rock veined with a lovely grey colour, but I didn’t pick it for the colour. I chose Howlite because it tends to grow in irregular nodules to eventually resemble a cauliflower. I feel like my little business is quite unpredictable, even to me, as to what will be the next thing I do. I don’t think there will ever really be any eventual shape, cauliflower or otherwise, as I hope to always have this waterfall of ideas to play with and to keep developing my product range. 6. What are the best and worst aspects of the design process for you? The best is the ideas bit. It is so exciting when an idea first springs into my head and I get to swill it around and think up all the possibilities. I have so many scraps of paper that just look like the scribblings and doodles of a mad man. They are always scraps too as I never have these ideas whilst I am sat at a desk with a nice tidy book to hand. When I decided to turn my creative pursuits into a business I initially felt restricted on what I could do on the design front. I felt like I had put myself into the jewellery bucket and now must stay there. I found this really limiting and a bit of a killer to my creative spark so I just scrapped it. It may not be the normal thing to do but I am happy having my jewellery mixed in with prints, cards, home accessories, things for kids… all sorts really. I don’t think this make a Jack of all trades as I am still very picky where quality is concerned. Sometimes I will try my hand at a new skill and just find that I cannot do it to a standard I am happy with, no matter how hard I try – in fact, I probably have almost as many bad ideas as I do good ones. 7. There seems to be a hidden/secret message theme to a lot of your work – is this a fair comment? Absolutely fair. I developed these mainly for Valentine’s day. I’m not really a soppy sort myself and if someone was to give me something to say they loved me then it had better not be a big fluffy bear holding a heart saying “I LOVE YOU”. A secret message though, containing a really personal message for my eyes only – that might just sway me. I thought this might just be me though and was literally baffled at the popularity of my morse moons and sound wave cards. I’d love to be able to share the mixture of funny, sad and sometimes deeply personal messages I’ve received – especially the sound recordings, with crazy women laughing, babies babbling, men gushing, kids singing… the list goes on. 8. 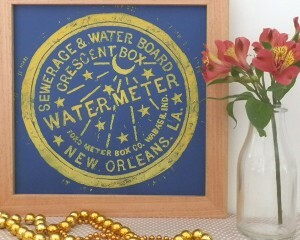 Tell us about your amazing self-designed gift box. Gemma’s amazing self designed icohedron box. This came as a result of my terrible best friend, procrastination. I was supposed to be working on my thesis but instead found myself cutting and sticking bits of paper, trying to turn it into some kind of shape. I’m not great at maths (probably shouldn’t admit this as a scientist) so this was a long 6-hour process of trial and error – the lid drove me crazy. This was one of the rare occasions where I felt that the end result was better than the creative process itself. Despite spending so much time on it, I had actually planned only to use it to store all the little things accumulating on my desk. But, I loved the box so much I actually started Owlish Grey just so I could have an excuse to send it out to people. 9. 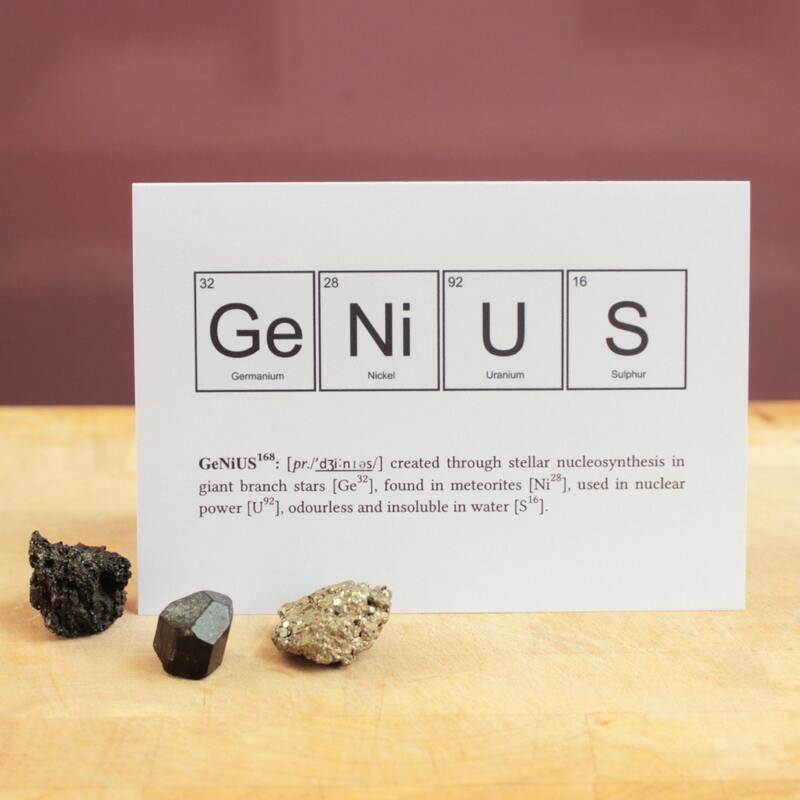 Can you tell us more about your love of the periodic table? The periodic table is just incredible in its simplicity. I remember the day I was introduced to it in science class and feeling amazed that our planet had been boiled down to these core elements, all organised in a tidy little table. It really is quite a remarkable thing. 10. What can we look forward to seeing from you in 2013? One thing I really want to work on is a science range for kids. I am lucky to have a 6-year old nephew that has all the interests I did when I was his age. 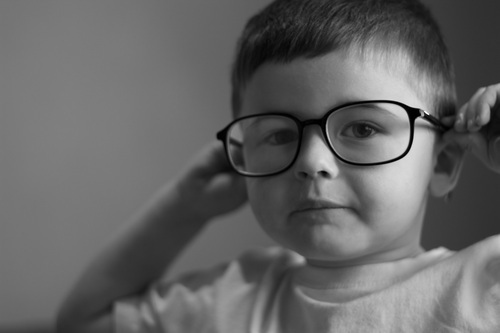 He loves science and is already planning the ‘Archeology Dig’ he is going to be doing with his grandparents in the summer. I got him an ant farm this Christmas and solar system mobile the year before but it took me forever to find these – I really don’t think there are enough toys for kids that like to learn. 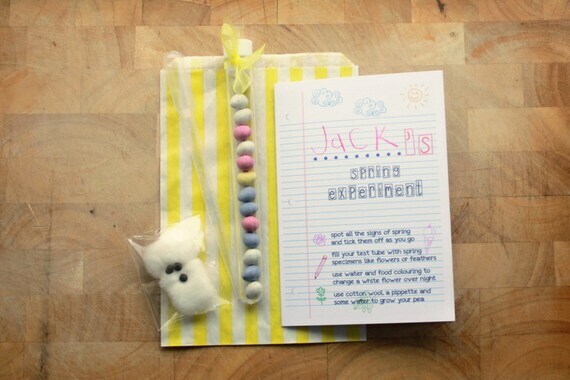 I’ve started with the spring experiments test tube kit for easter – there’s some chocolate in there to keep them happy but mainly it is about the learning activities designed to teach kids about the spring season in a fun way. I am also saving for a laser cutter as I would like to expand my range to use sound waves in personalised jewellery and wall art. Here’s how you can keep in touch or buy something from Owlish Grey: Just click on the links! 2. How do you make a design partnership work? Hmmm. Ours works because we have very different roles and know what each other’s strengths and weaknesses are. Jacques is very patient and calm, and I am very organised but stressy. This leads Jacques wanting to do all of the designing (hours and hours on illustrator), whereas I do all the of the branding, marketing, social media, contacting stockists and general admin. It means that when I get bored half way through a task I can flit onto something else. 3. How does being based in Brighton feature in your work life? Living in Brighton is not only inspiring in itself but also means we are close to London for visits to galleries, museums and to see skyscrapers. 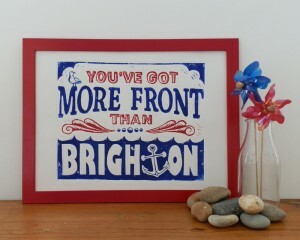 Brighton is great for the beach in the summer, and the fact that there is always something going on. We very much live for the motto “Work hard, Play Hard”. We also have most of the things we need on our doorstep – need more chain we head down to the bead shop! 4. Can you tell us more about the upcoming Plastic Fantastic! event? 5. What exactly is Product Design and how does it influence designosaur’s work? Both Jacques and I studied Product Design at university and I would say that it is the design of everything that isn’t aeronautical or mechanical. It is such a large field and we chose not to specialise although our final year projects were very in depth, but completely different. Our Product Design degrees taught us lots of techniques, as well as bringing us together. So without a degree in Product Design there wouldn’t be designosaur! 6. What led you to jewellery? I have an acrylic and junk jewellery problem. Jacques started an internship at a laser cutters and was making children’s acrylic mirrors. He brought home some of the designs to show me, and one of them was a GIANT Brachiosaurus Mirror. 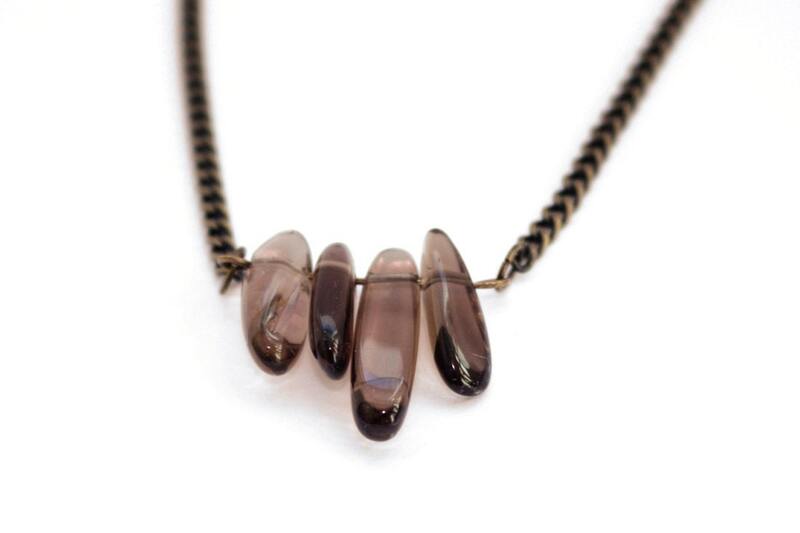 I held it up to me and said that it would make an awesome necklace, (it covered my entire torso) and I think it clicked with Jacques that if he was making the acrylic jewellery, this could work out cheaper in the long run! He reduced the size of the design and we went from there! 7. What are the best and worst aspects of the design process for you? The best bit is the ideas stage, we are full of them, and scribbling them down and discussing them is the most fun. The worst bit is when you have had an awesome idea, you have made it, and then for some reason it doesn’t quite work, maybe it is too weak at one point, or doesn’t hang correctly. This can be quite disheartening sometimes. 8. Do you find that focusing your subject matter to mainly dinosaurs and extinct creatures is limiting or liberating? Ahhh! Well, we are designosaur, or designosaurs and although we happen to make dinosaurs they are not the designosaurs that our brand entirely relates to. Dinosaurs were a great first collection, and we will continue to make dinosaur themed products and to sell our dinosaurs as a core collection, but there is so much more to come from us. 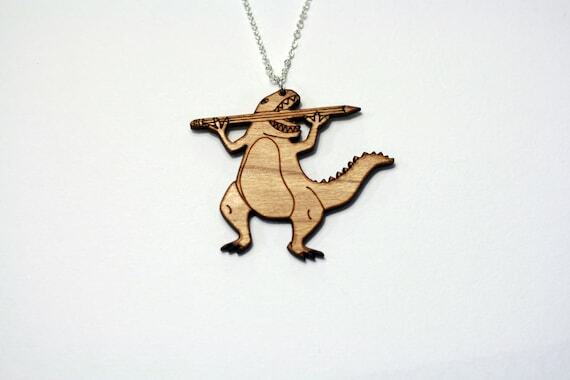 It is good to have a strong brand recognition, people know us as the ones that make dinosaur jewellery and then they remember we are called designosaur. 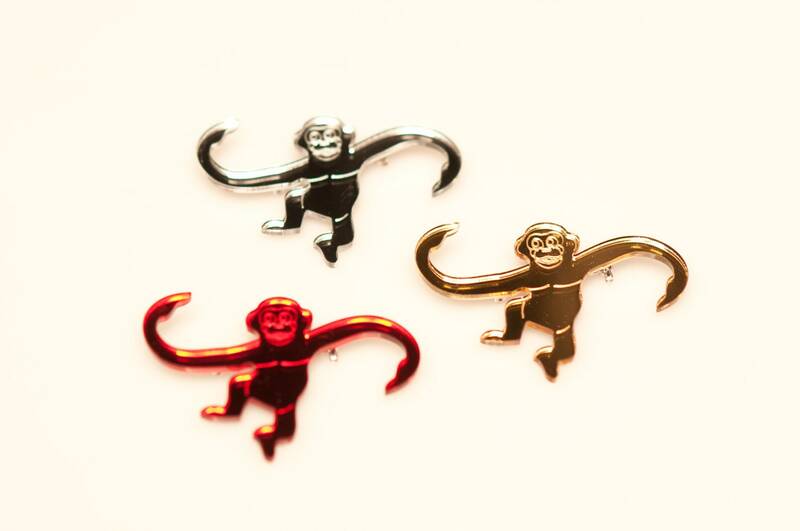 It has opened us up to a wider range of stockists doing the Natural History style designs too. 9. Your designs are available in fabulous range of places from craft fairs, to independent boutiques and the Natural History Museum. What is the best bit about each of these type of stockists for designosaur? We love craft fairs, we love people being excited about our designs, chatting about dinosaurs and having that personal touch. The independent boutiques are what moved us from crafters to a brand. It’s fun dealing with independent boutiques, there is a lot of passion behind each store and we’ve worked with some lovely store owners in the last year. 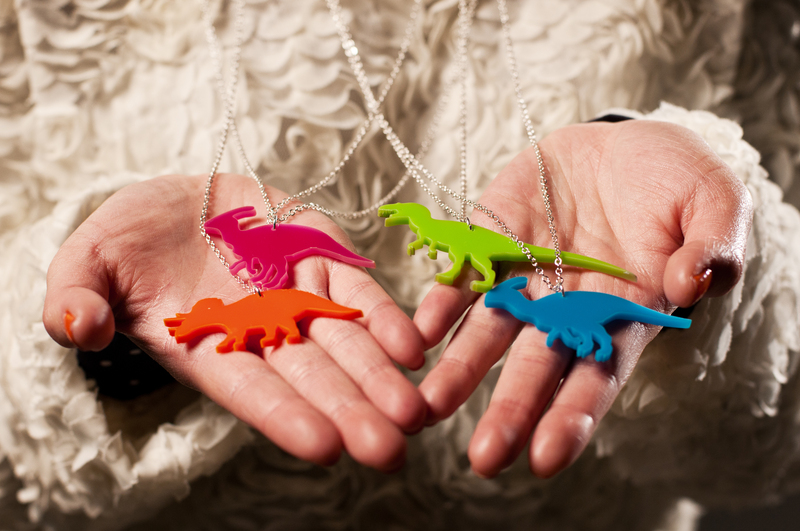 Big stockists like the Natural History Museum are fantastic advertising for our brand – giving people who would have never come across us otherwise the chance to fall in love with designosaur jewels! 10. What can we look forward to from designosaur this year? You can look forward to SO MANY THINGS this year. I am Queen of saying YES to everything, and recently when asking Jacques if we should take on another huge project he said “well you only run a dinosaur jewellery business once!”. 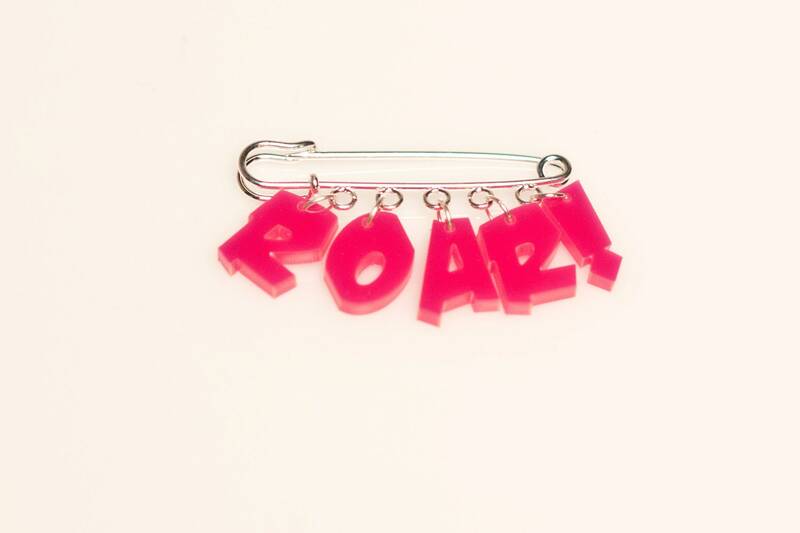 We have collaborations, collectives, events, new stockists, new collections and so much more coming your way. Unfortunately at this stage of the game it’s Top Secret, but we promise you will be excited! Last year one of the designers that really caught my attention whilst visiting one of the MK Handmade and Vintage extravaganzas was Debbie Kendall of The Enlightened Hound. Both her subject choice and deceptively simple aesthetic appealed to me and I wanted to find out more. As a dog owner myself I could identify with the concept of “Canine Wisdom” and recognise the special bond that exists between dog and human. My design history is quite varied. 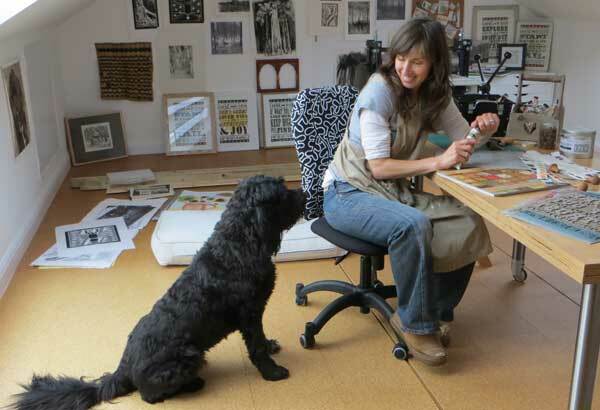 I attended Chelsea College of Art in London where I studied interior design and Amersham College in Buckinghamshire where I learnt a variety of printmaking techniques. I am also a self-taught furniture painter and have up-cycled furniture on and off for around 20 years as a both a hobby and business. I have also worked in marketing and advertising for several brands and retailers however it is only recently that I have the time and support to focus on my printmaking full time. 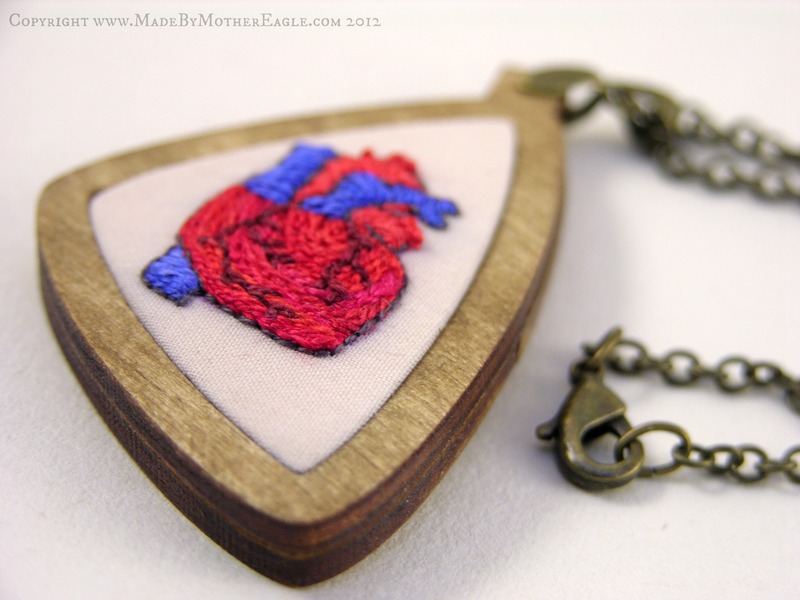 Although it was a hobby to start with I have always wanted to sell my work. I thrive on the recognition that comes from someone liking my work enough to part with their hard earned cash and choosing to hang it on their wall. That is a great privilege and I love knowing that I am producing work that others can connect with. You use fonts from the Wild West and American Civil – what attracted you to these? 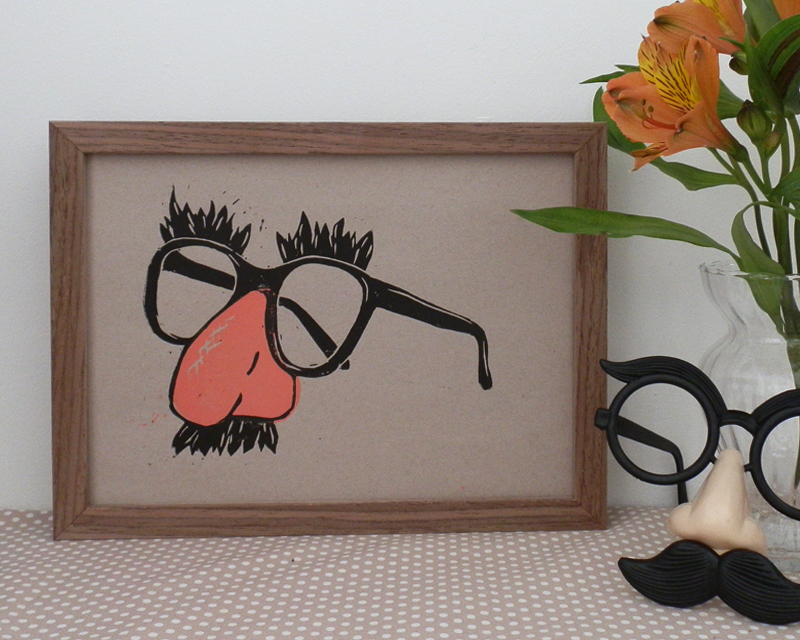 I wanted my prints to have a sense of nostalgia and vintage appeal. I have always loved the fonts used in the American Wild West Wanted Posters. They were designed specifically for posters so that the message was clear and stood out and they manage to be both bold and striking yet curiously ornamental. The way the fonts were used, combined with other decorative elements (like the pointing finger), gives the ‘wanted’ posters a strong sense of identity and heritage which I felt would be perfect for my prints. The old ‘wanted’ posters were mainly produced from woodcut letters by letterpress, a relief printing process that has many similarities with linocut. My hand printing process creates a softly distressed effect, which further echoes this vintage look. I think that unless you have a dog it is very hard to put into words the special bond that develops between humans and dogs. I always loved dogs but was not sure if I wanted the commitment involved in actually owning one, however I was under a lot of pressure from my boys (I blame Enid Blyton’s Famous Five as I used to read the stories to them and they loved Timmy, the dog). I eventually agreed when I felt that I could give a dog the time and focus it deserves and I can now not imagine the family without Figo. He is always there for me, devoted and loyal, incredibly calming and very difficult to be anything but happy in his company. What do you love and hate most about the creative process? This is a great question because it acknowledges that the creative journey is not always an easy one. 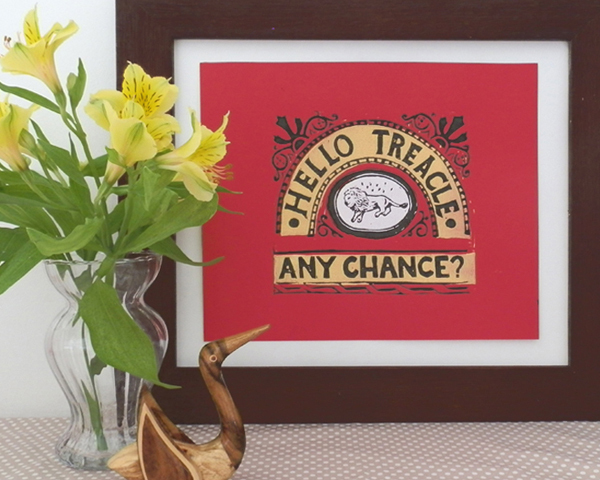 It took me over a year to develop the Enlightened Hound prints and they are deceptively simple. When I look back over my developmental sketches and layouts for the prints I am reminded what a long and sometimes tortuous journey it was and it is this, precisely that I both love and hate about the creative process. I believe that if it is too easy then the work probably isn’t good enough! Being a bit of a perfectionist it is sometimes difficult for me to relax into the creative process and not be afraid of trying things that, in my mind, might not work out. But when I manage to let go of my judgemental side and just truly play and experiment with my work it is very rewarding. 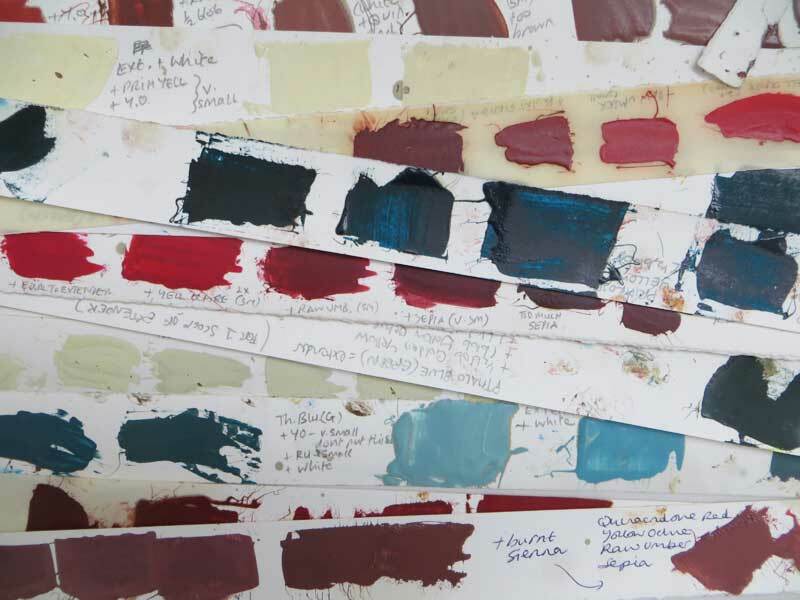 Can you tell us more about your choice of colour palette? I wanted to reinforce the American Vintage inspiration for the prints with the colour palette. I therefore researched the American Shaker and Colonial Buttermilk paint colours. I played with this palette to find combinations that worked for the prints – 2 bold complementary colours for the typography and a more subtle tint for the background element. 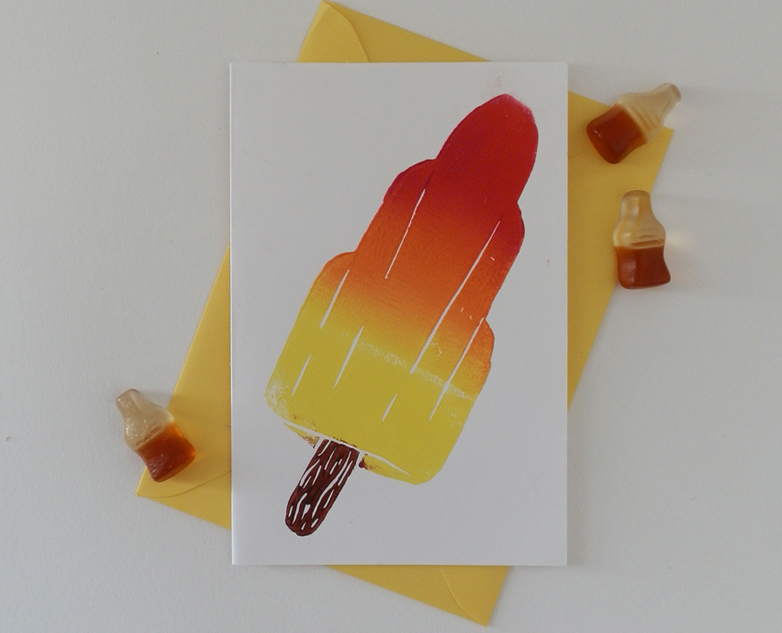 I hand mix all my colours and make ‘recipe cards’ for each one so I can repeat the colour another time, however each time I make up the batch there is always some variation. What is your personal favourite piece of dog wisdom? 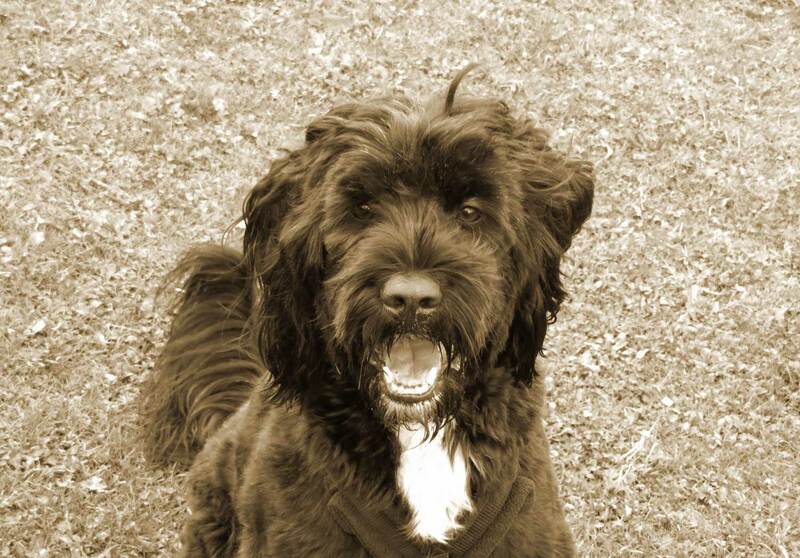 Start Each Day with a Wagging Tail is my favourite because for me it totally encapsulates daily life with a dog. It is so easy to start the day in a negative frame of mind with the stresses and pace of modern life, however Figo always reminds me to put these into perspective when he greets me in the morning. Do you have a favourite spot in your workspace? I am very lucky to have just finished creating a new studio for my work in our loft. I have created a seat under a huge velux window there, where I can look out over the tree tops and hopefully be inspired! 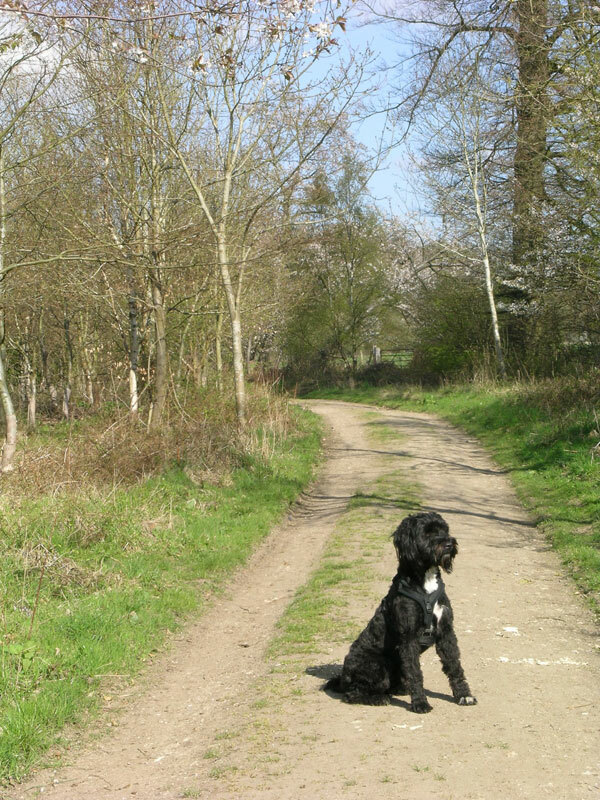 Do your walks with Figo influence your work – where is your favourite walk? This is an interesting one! Spending time with Figo and watching how he reacts and adapts to life is a constant source of interest to me. I find my walks are the best time for me to clear my head and think about where my work is going. I always come up with my best ideas on a walk, even if they are not related to the walk itself, as it is the perfect time to free my mind from the detritus of everyday life. My favourite walk is one that I only get to do on holiday as it is by the beach at Daymer Bay in north Cornwall. Figo’s coastal heritage means that he is completely at home on the beach and in the sea. I think typographic art is here to stay. The re-discovery of the original “Keep Calm and Carry On” wartime government poster in a second hand bookshop sparked a huge surge in popularity of slogans and mottos as wall art. In today’s fast paced world these light hearted, humorous reminders can help ground us when stress levels run high. However I felt that the glut of these types of posters had become a little cliched and I wanted to make my prints more personal and meaningful. Celebrating the timeless and unshakeable bond between humans and dogs was, for me, the perfect way to do this. When we hang our chosen words on the wall we are sharing a part of ourselves, and our view on the world, with others. It taps into the trend for sharing our views and desires with the world at large, epitomised by facebook and twitter. Typographic motivational art can be uplifting and personal and is a witty and relatively inexpensive way to personalize your homes or work space. I have been delighted and hugely grateful for the positive response to my work that has struck a real chord with dog lovers. A card company has made my designs into greeting cards (on sale in my Folksy shop) and they are also being licensed for reproduction onto mugs and tea-towels. 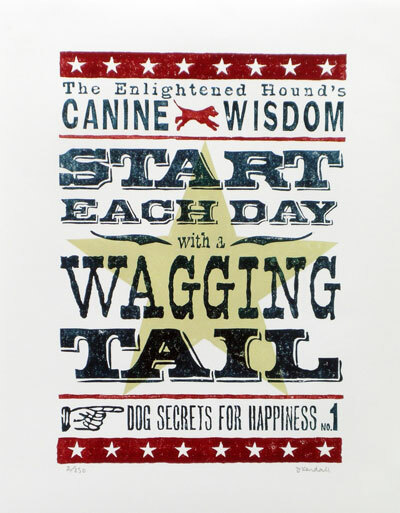 I have a total of 8 prints in the Canine Wisdom series however I have only cut lino plates for 4 of these, so I want to develop all eight designs into prints. 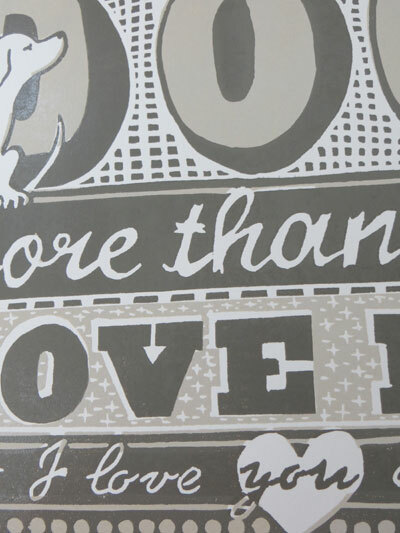 I do have some other typographic dog inspired art ideas which are at sketchbook stage, and for these I am planning on using totally hand drawn fonts – the antipathy of computer created perfection. 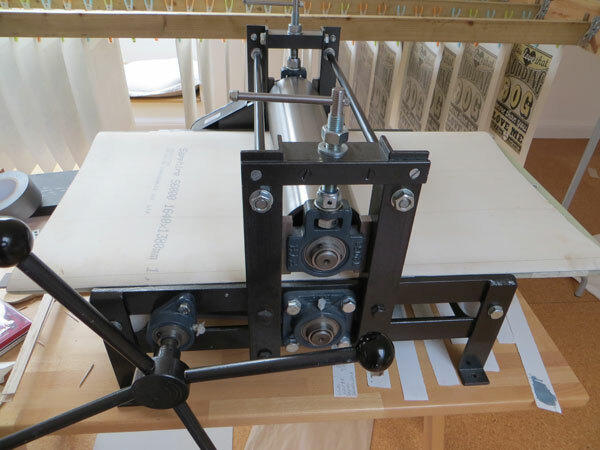 I also have a table top letterpress – an old Adana 8×5 – and I would like to get this working. The demand for original handmade work is also very strong as an antithesis to mass produced, computer generated goods. A handmade print fits the bill perfectly in the quest for something unique, different and individual. 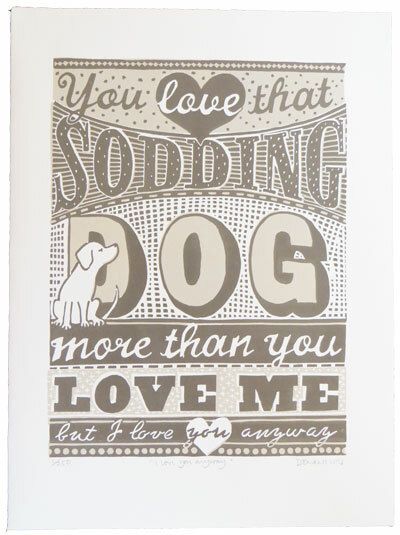 The light-hearted “I love you anyway” lino prints by The Enlightened Hound were inspired by a comment from my husband when I (in his opinion) gave our dog one too many cuddles! 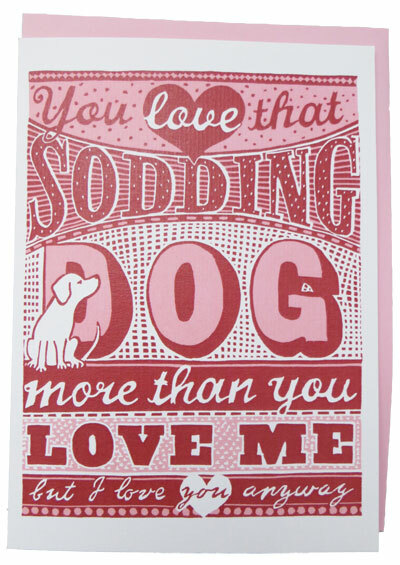 They make a perfect gift for Anniversaries, Birthdays or Valentine’s Day to remind your dog-smitten loved ones how you feel! They are also available as greeting cards. Greetings Card – perfect for Valentines! The design and typography is influenced by original 19th century show posters and fonts, but these are combined with a playful folk art vibe and some more modern typefaces. 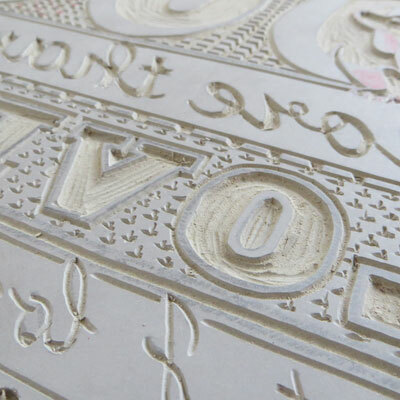 The letters are all hand drawn and hand cut into the lino plates so the prints have a naive, homespun feel which makes them uniquely personal. 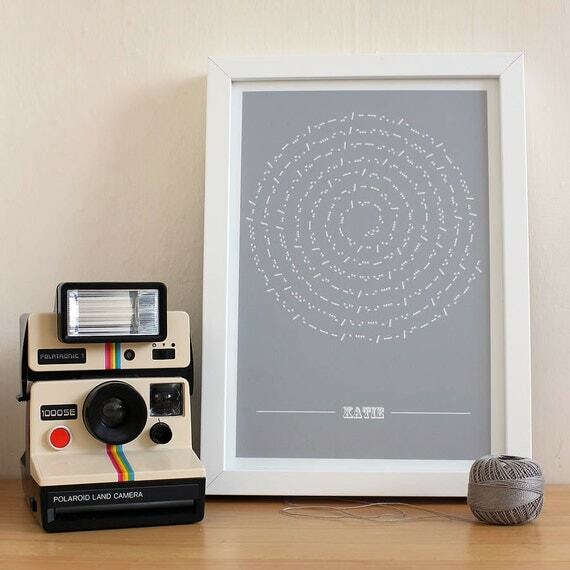 The prints are available in two under-stated colours – a soft grey-brown taupe or smoky blue. They are printed by hand using traditional linseed oil ink (hand mixed) on heavy 175gsm printing paper in limited editions of 250 prints. All prints are numbered, titled and signed by the artist.